As I have mentioned before I have pale skin and although love the results of a number of gradual self tanning products I have never got into a routine using them as I am just too fussy about tan marks etc but with so many great self tan brands on the market now this is less of an issue, a number of them Irish brands which is fantastic and recently I have been kindly gifted products from these brands which I am excited and so grateful for, will post reviews about same when get a chance to use them properly. 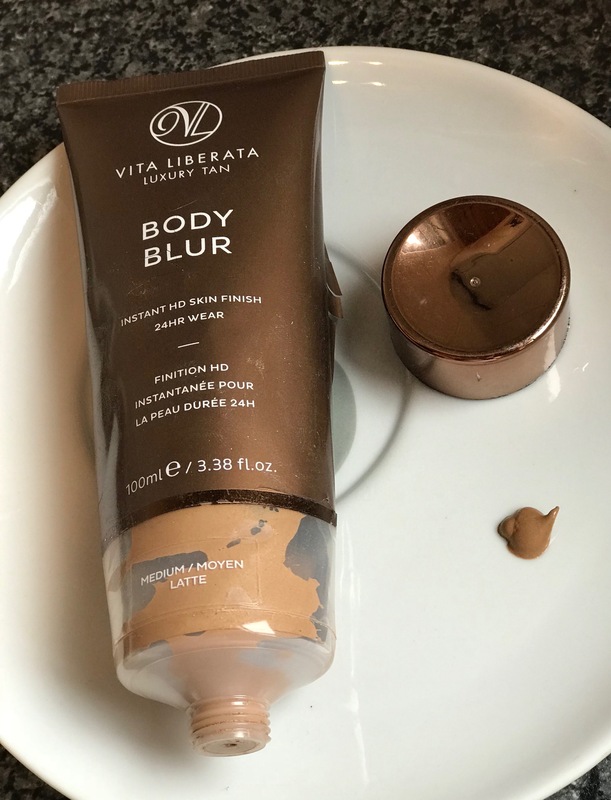 However one product I have been using on a regular basis and is a repurchase is the Vita Liberata Body Blur, instant tan, lovely product by itself or alongside gradual self tanning products to give that bronzed glow. States: From their Irish base Vita Liberata created the world’s first odourless tan in 2007 and their unique Odour Remove ™ technology is now present throughout the collection. In 2011, states they became the first completely non-toxic tanning brand free from parabens, perfume, alcohol and all chemicals of concern. 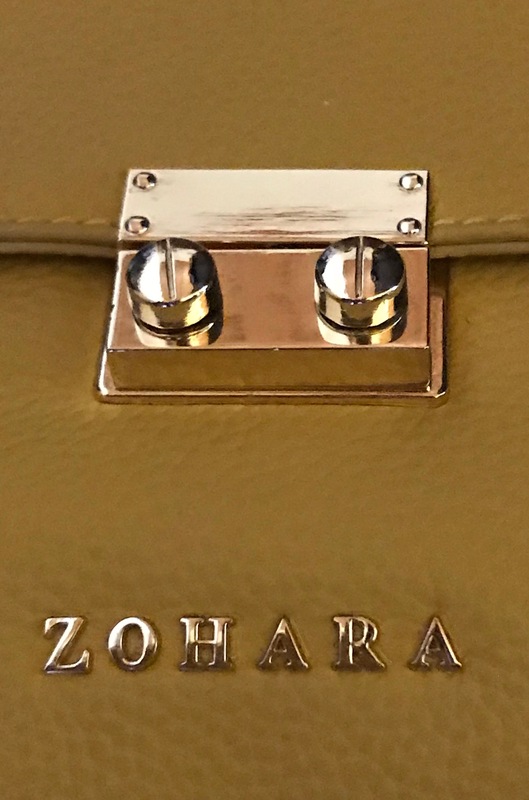 Please see link here to learn more about the brand and the range of products available. 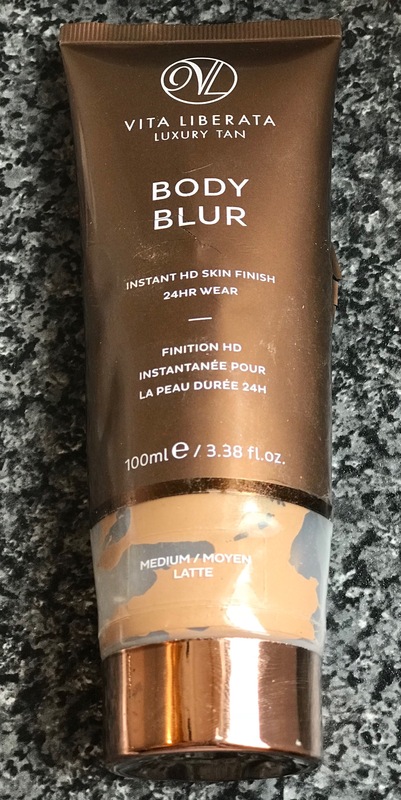 The Vita Liberata Body Blur is described is an instant body makeup that gives the most flawless skin finish and reduces the appearance of imperfections like cellulite and spider veins. Apply in small pea sized dots along limbs and then blend well in long circular movements. For face and décolleté apply sparingly with fingers or a foundation brush. Wash hands after application. 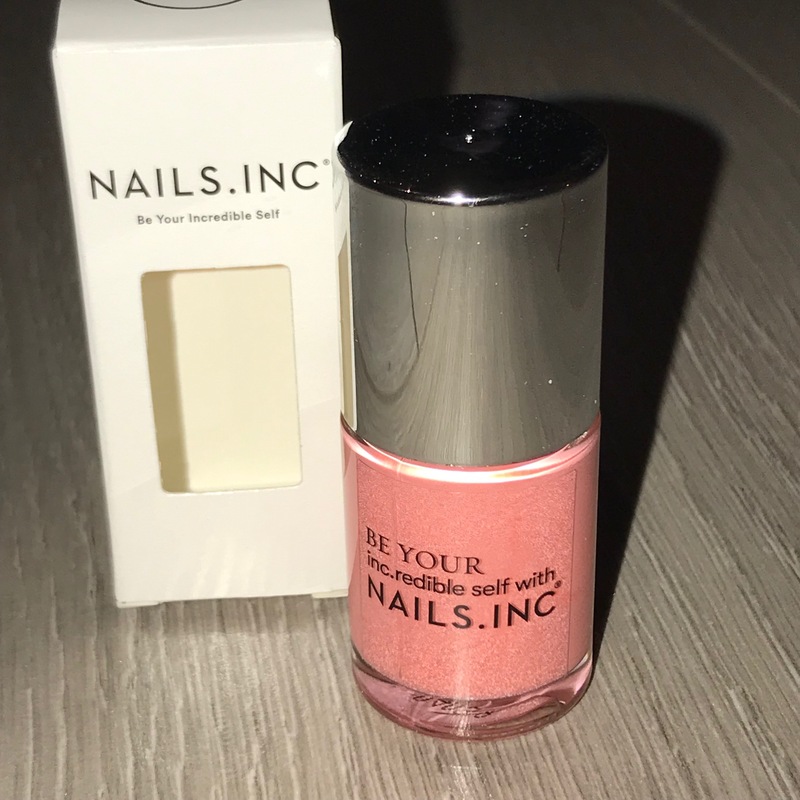 The product comes in squeezable tube with screw on lid and has a stick-on label with all the details on it; name, size etc, but with prolonged use it does start to come off as you can see in photo above which is a bug bear for me personally (need to see new packaging to see if still the same) RRP is £29.95 for 100ml (unless on offer, some online stores are selling it for less so check around if going to purchase) – would love to see this with a pump applicator as easier to apply however know this could increase cost further and it is quite expensive already. However there now is a new / mixture of packaging on a number of different online sites so a bit confusing, although have used both versions and have not noticed any real difference same results and colour but just be aware of this if ordering, some packaging does not now state 24 HR wear on it as is one of my issues anyway as if it is very, very warm / wet it will transfer slightly, especially on your arms or legs, so not really 24 hr wear. I have only seen three shades: Latte Light, Latte Medium, and Mocha, although some sites seem to be showing more or different versions so check around. 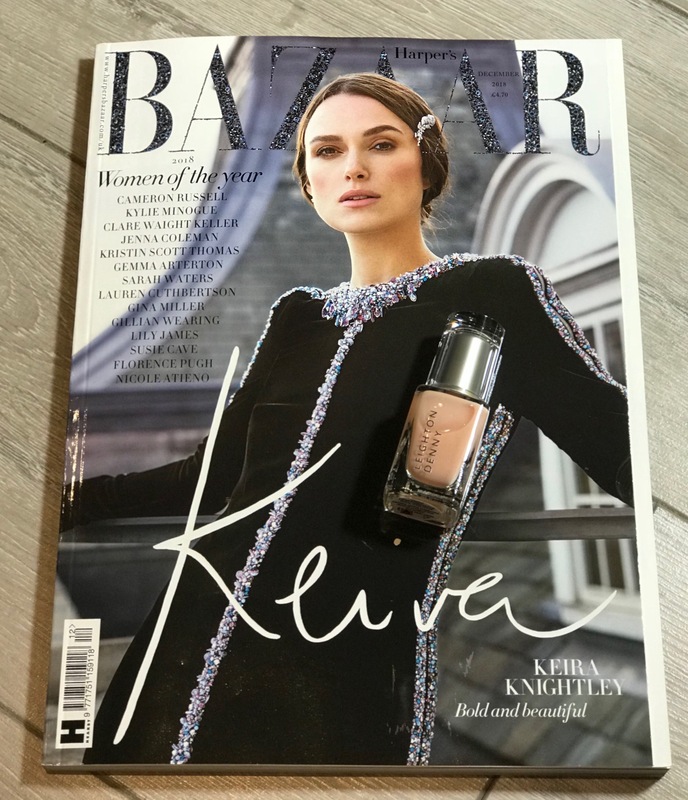 Although I have pale skin I do use the ‘Latte’ Medium shade which states was created to give the appearance of flawless skin and is ideal for medium skin tones. 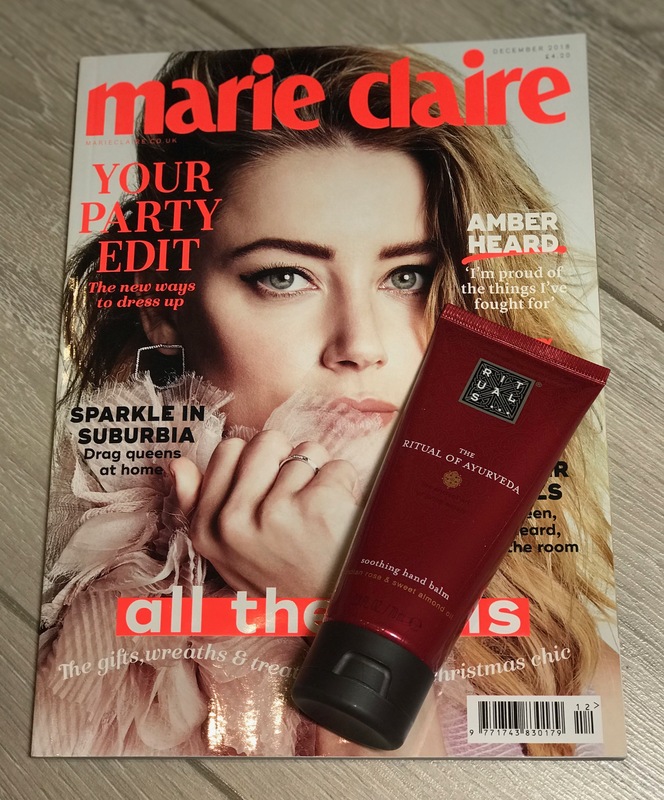 The silky lotion gives an instant medium, bronze tint and is suited to a range of skin tones from warm ivory through to deeper, olive shades. 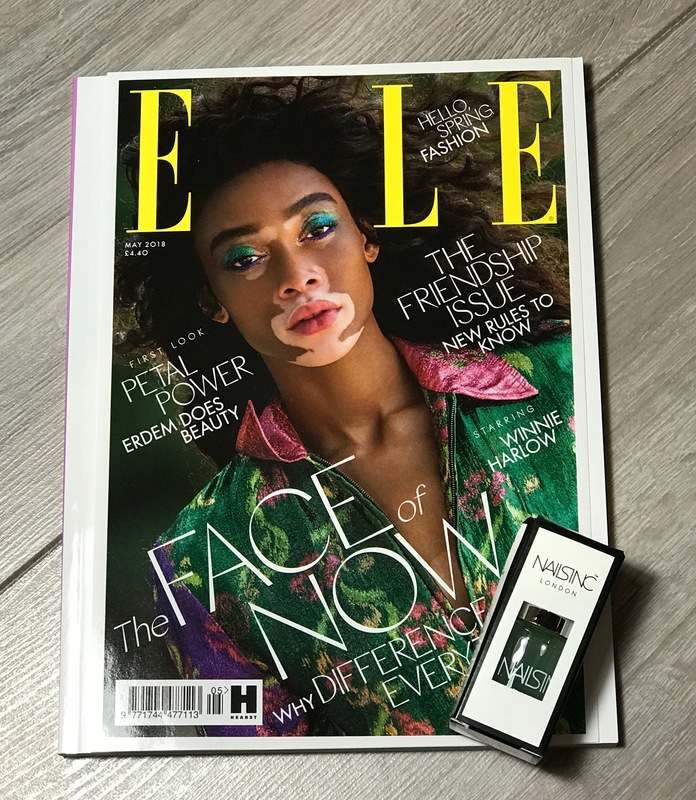 I find as long as I am careful how much I apply it gives my skin a beautiful bronzed instant glow, not too dark. Now on to the application and results, I do use as directed, small amounts and apply on my arms, neck, décolleté, legs and feet but I always sure my skin has been moistured well before hand I love my Kiehls Creme de Corps body lotion as keeps my skin moisturised all day and does not leave a greasy residue perfect for applying the body blur over just make sure it has absorbed well before you apply it as it will leave it streaky other wise. 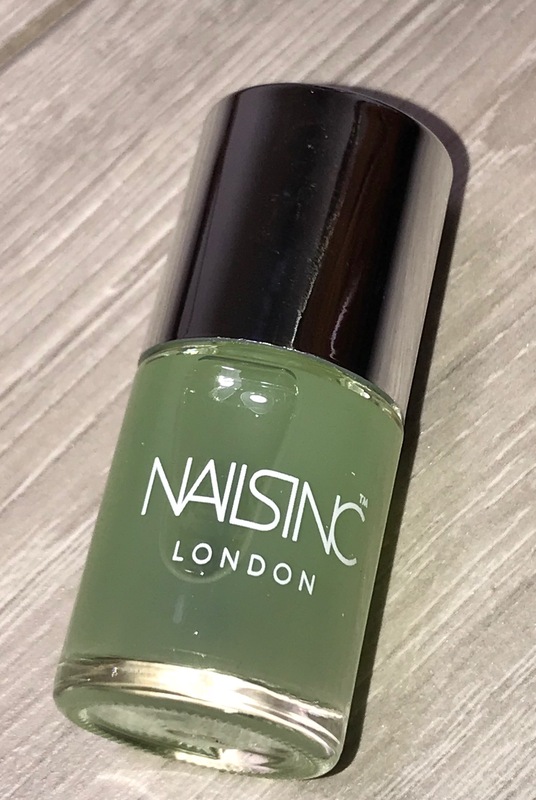 It has a creamy formula but you need to make sure you do not apply too much at a time as it leaves it more difficult to massage / blend in, I always apply with my hands making sure they are hydrated well before hand to help application. I find it blends in really well if you follow these tips and then if you see any missed areas or want a bit more coverage just reapply small amounts on these areas even with a brush. Always leave at least five / ten minutes before dressing as it will transfer slightly but the longer you leave it the less transfer. 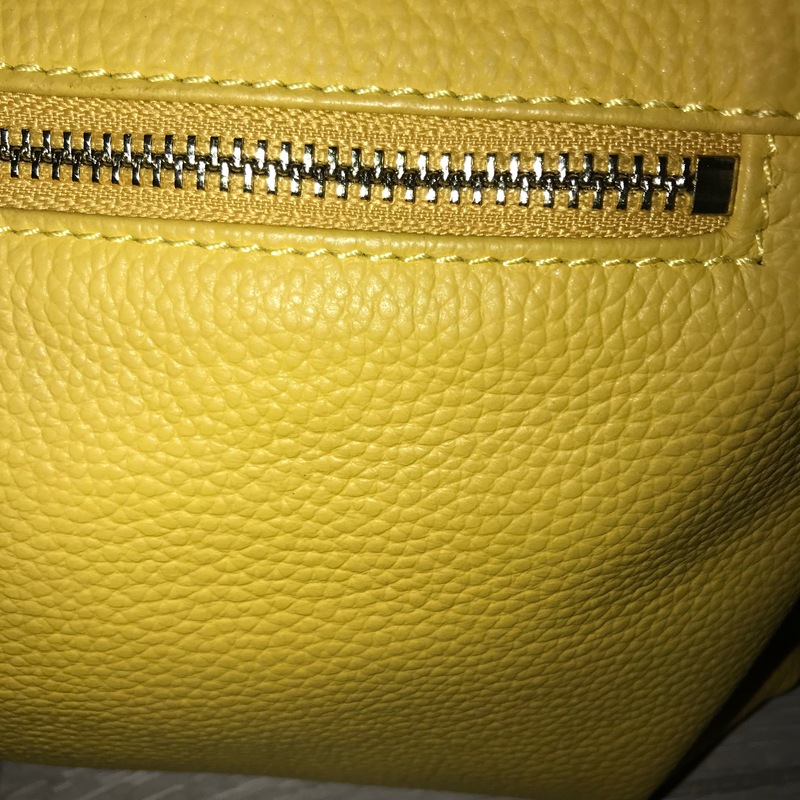 I find it does cover thread veins ok but not full coverage although you can build it up to make less noticeable. I also add to my foundation to add a bit more colour, helps give my skin that extra boost. 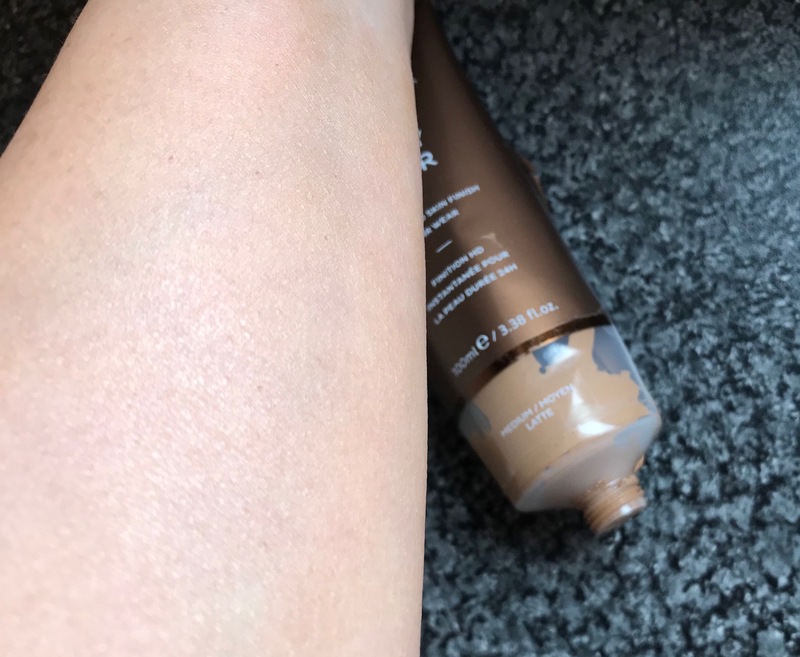 I love the natural looking bronze glow / slight shimmer it gives to the skin, like a foundation / silk stockings for the body / face. 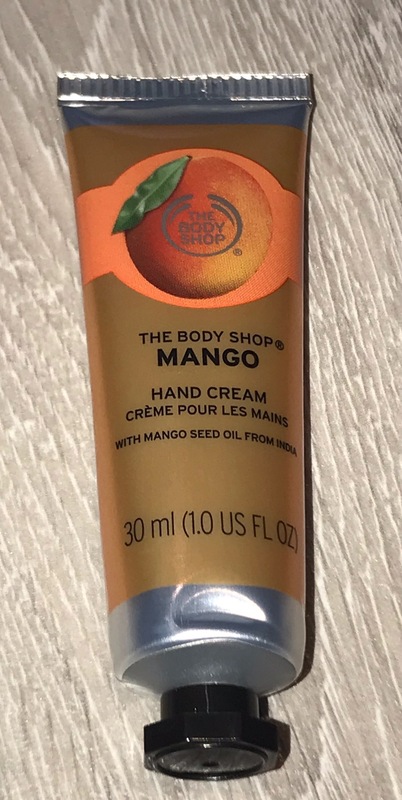 I do not apply on my hands until I am almost leaving, if you put some on a brush it is a great way to buff onto you hands, décolleté areas as well. 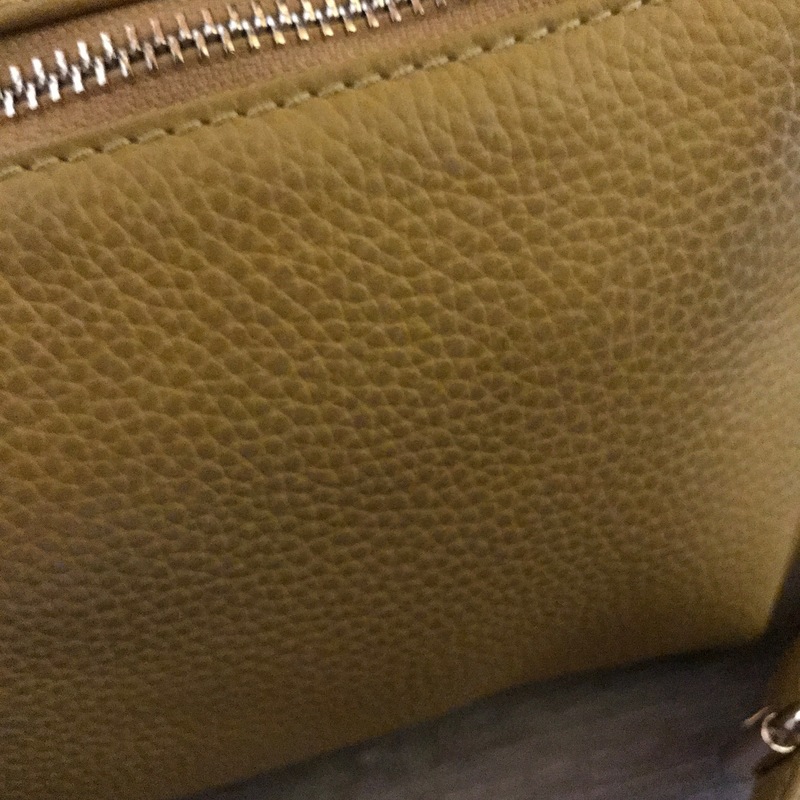 I also take a little in jar with me in my handbag to reapply when needed when I am out, when I wash my hands. 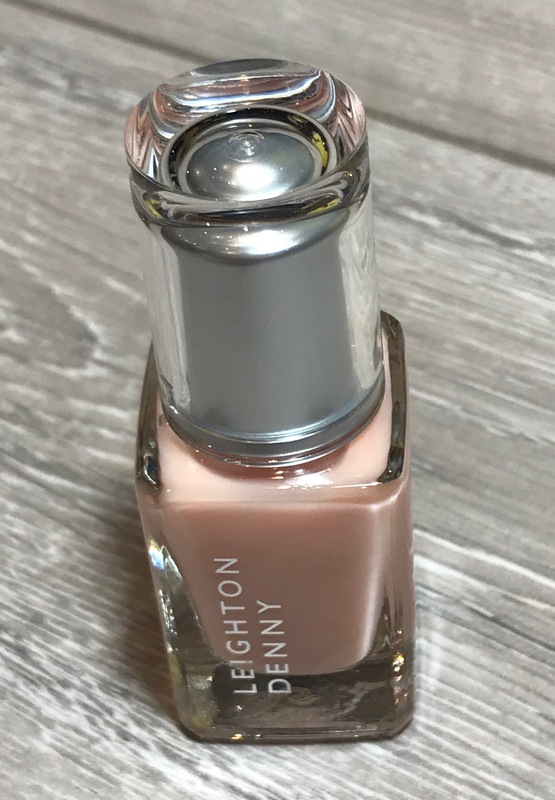 The only slight negatives for me is that it will transfer slightly and you will notice this more on light clothing but does not put me off especially for neck, arms, and hands as just so easy as gives you that gorgeous instant glow. 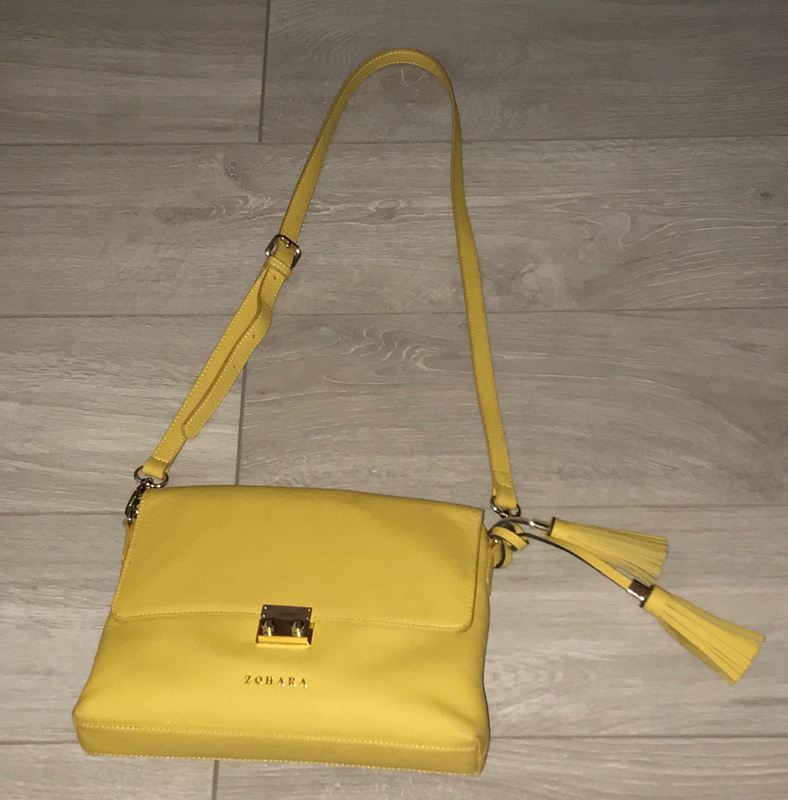 It is also quite expensive but it does last ages and as love results / enjoy using it so much, think it is worth it; and as always I try to purchase when an offer is on . Leave to dry as long as possible before dressing. 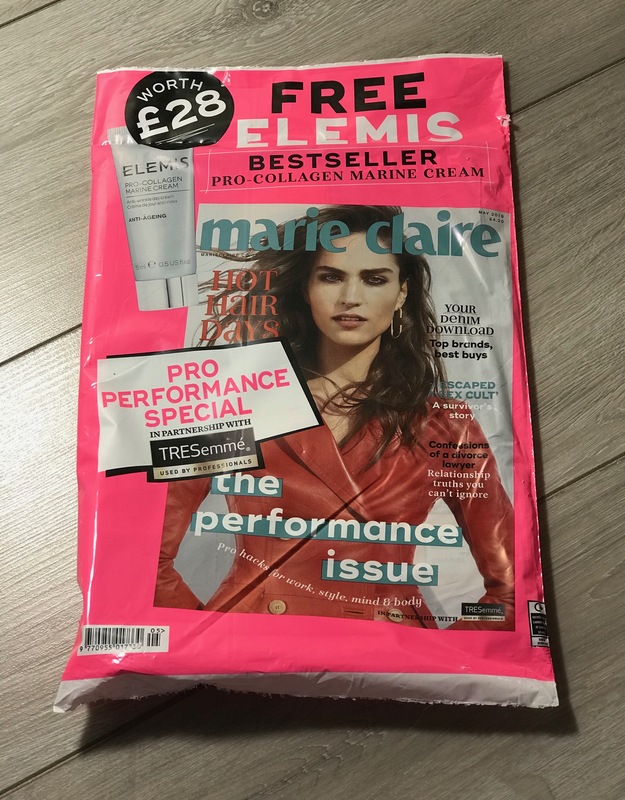 I think this the perfect product to have all year round to apply as and when needed to give a boost to your self tan or to wear by itself so a definite repurchase for me and I would recommend trying this product if you can, not only for the results but also because it is so easy to fit into your normal routine. 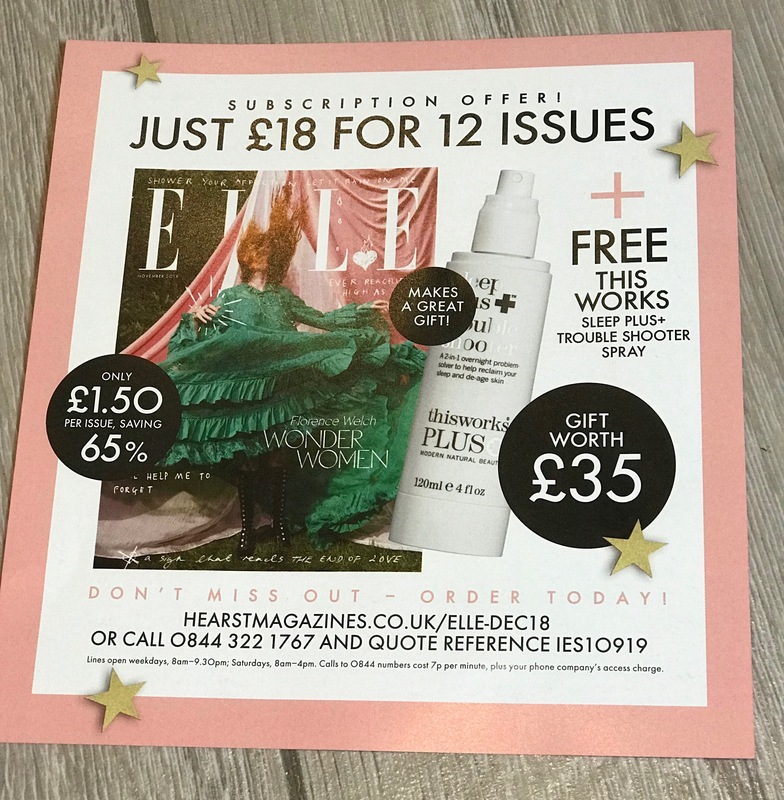 You can just apply, wait five/ten mins or so and then go so no need to worry about that surprise event you weren’t prepared for, were not able to get your self tan sorted in time for – another plus for me is there is no strong self tan smell. 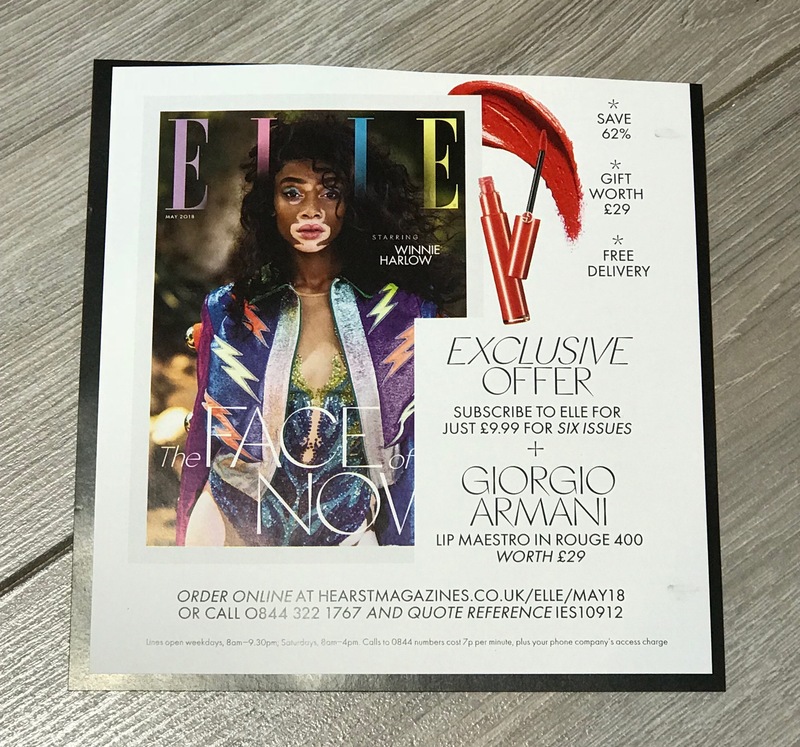 You can purchase from a number of online stores which include, lifeandlooks.com (reduced to £24); Vitaliberata.co.uk; Cultbeauty.co.uk; Johnlewis.com to name a few, however as always check around to see where you can get the best offer i.e. discovery sets, discount off, free gifts with purchase, samples or hopefully if you are lucky maybe all of them. Look forward to any comments you may have. 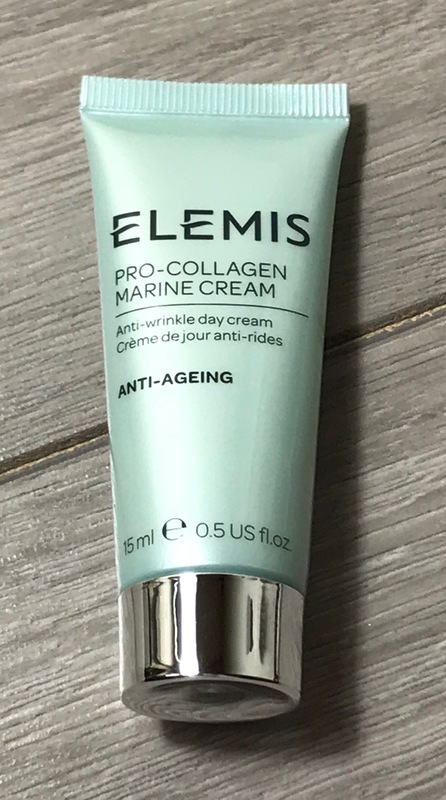 Love to hear if you have tried this product before and if so do you like it as much as me. If you are not already a follower would love you to follow my blog too – would mean a lot. Will be back soon with another post. 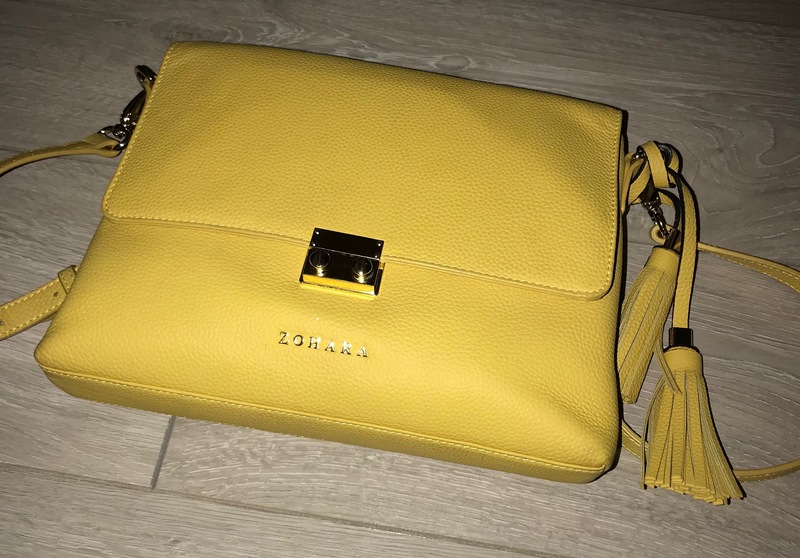 Although I received my Spring 2018 ‘Nature’ Moi-Même box a while back, my third box, I wanted to let you see what was in it as it will be time for the Summer 2018 box v soon. 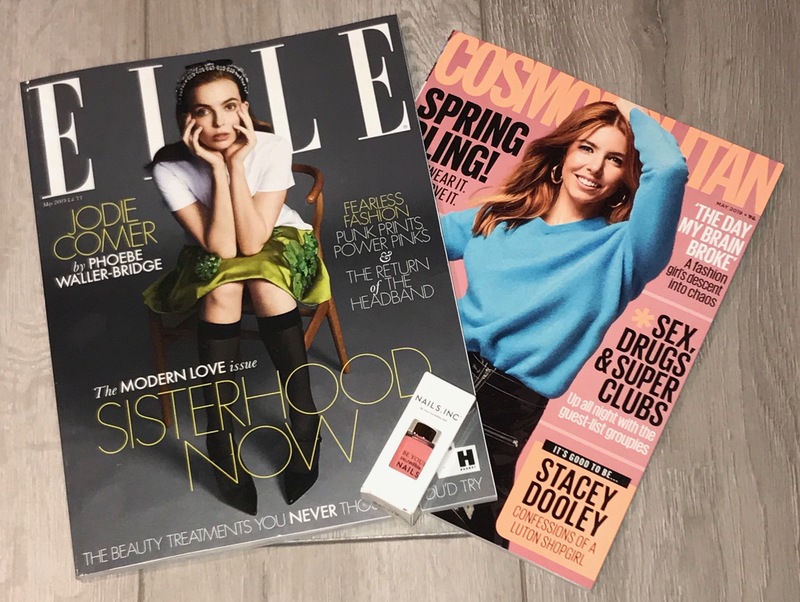 The Moi-Même box is a UK ‘seasonal’ box (4 boxes per year) which costs £45 approx per box (annual subscription) or £49.95 (quarterly subscription), however this is increasing to £50 (approx) and £54.95 respectively from 1st July 2018. 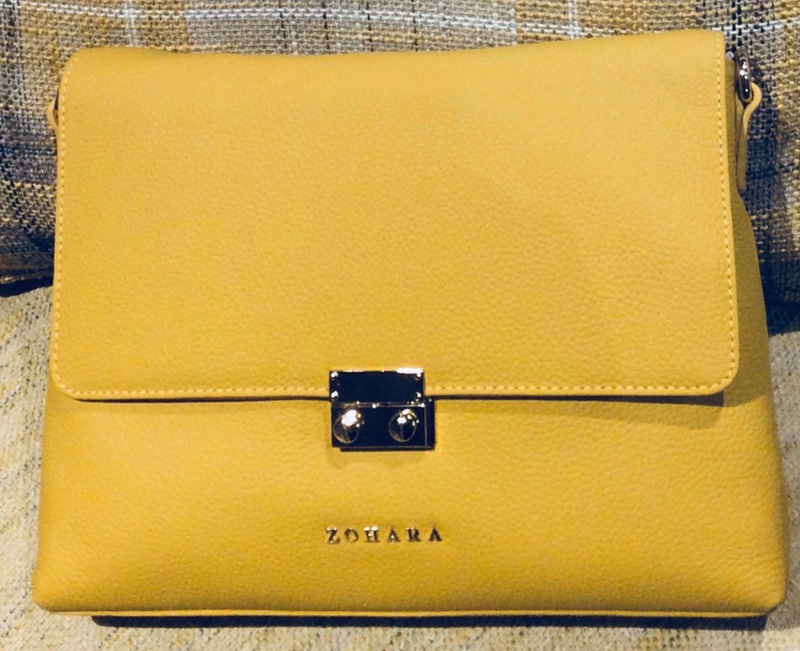 Box contains a variety of items (could be clothing, accessories, stationery, skincare, jewellery, homeware, makeup etc. – subscribers may get different colours / designs in different items). Delivery is free for our UK subscribers and costs £14.95 per box for the rest of the world. 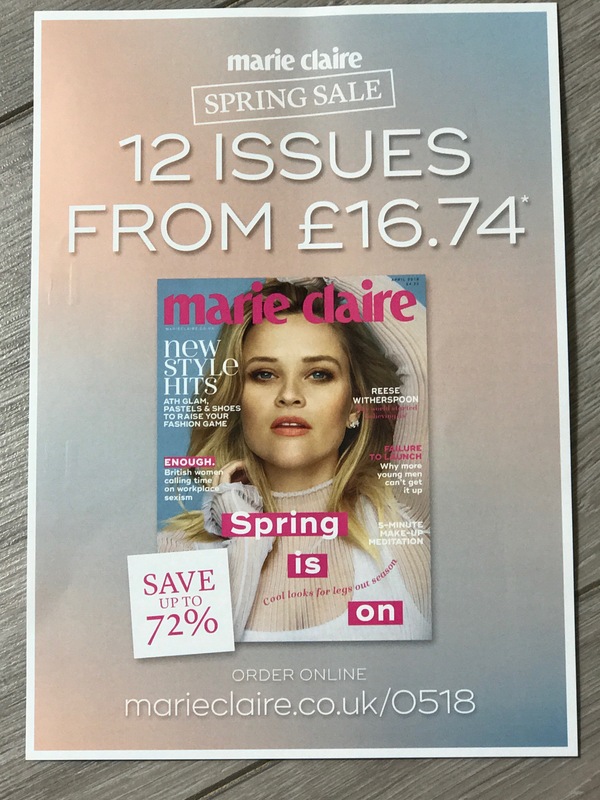 (full details on subscription(s) / shipping and proposed increase in price can be found at moi-même.co.uk. 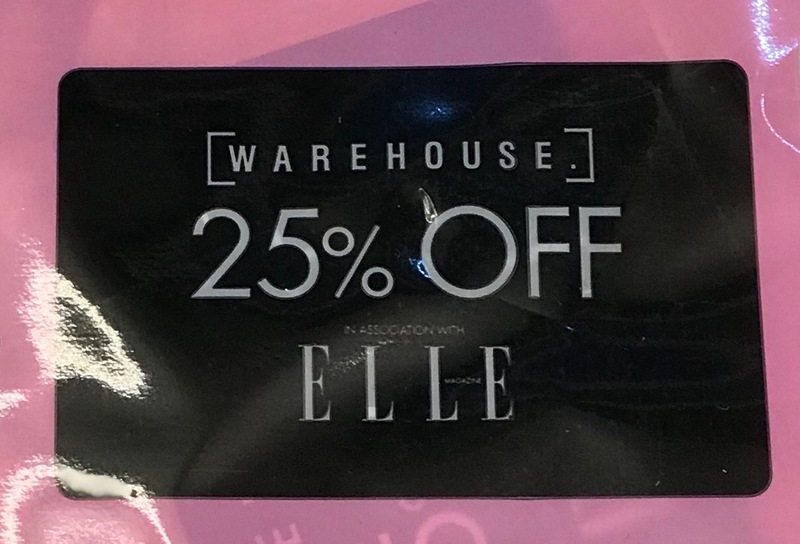 As I am not subscribed currently to as many beauty boxes (taken a break from a lot as so many beauty products to use up). 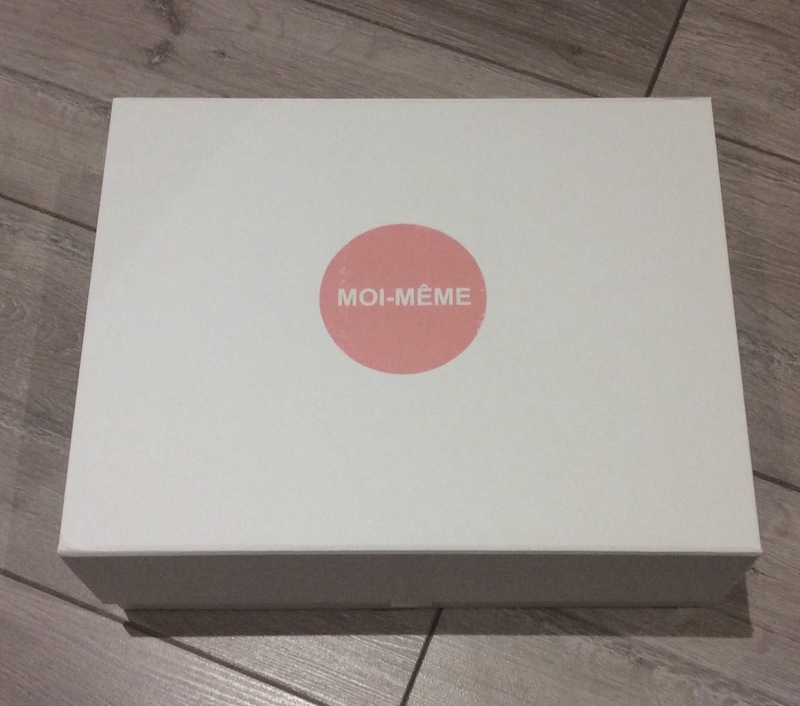 I really enjoy receiving the Moi-Même box as it is much more than a beauty box, contains a range of different items. 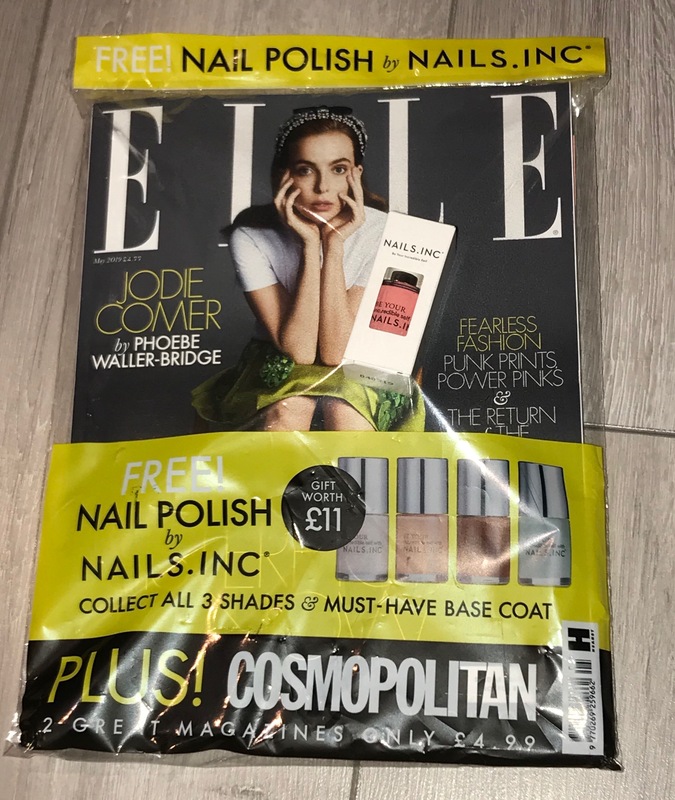 Products come wrapped in tissue paper in a white large magnetic closure box with a personalised sticker on the inner lid. 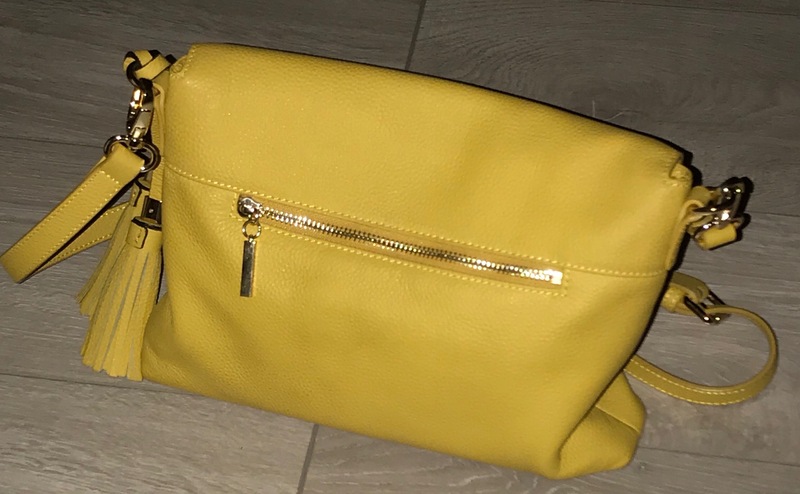 There are at least five full size items and usually an information booklet included as well but none in my Spring box. 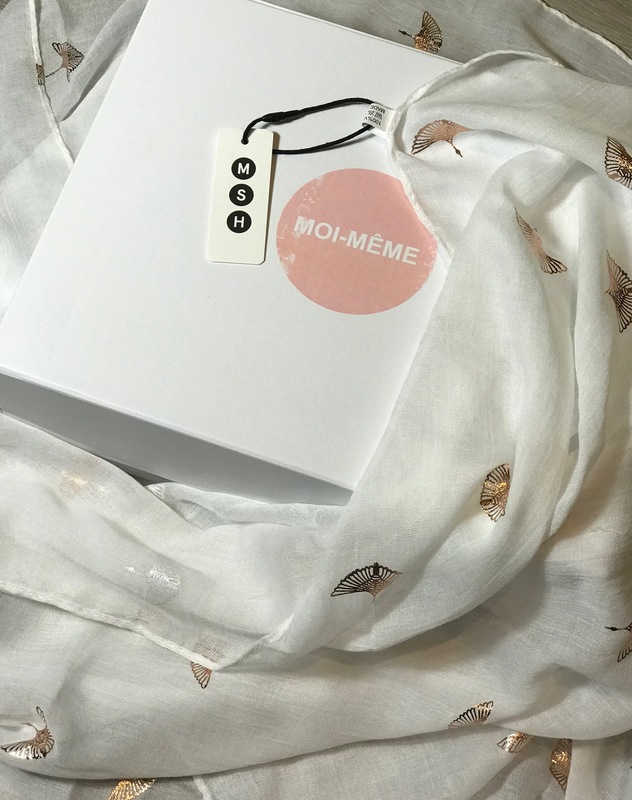 M.S.H Scarf (RRP £12) – I received the off white shade with rose gold detail. Another lovely product, light weight perfect in any weather. 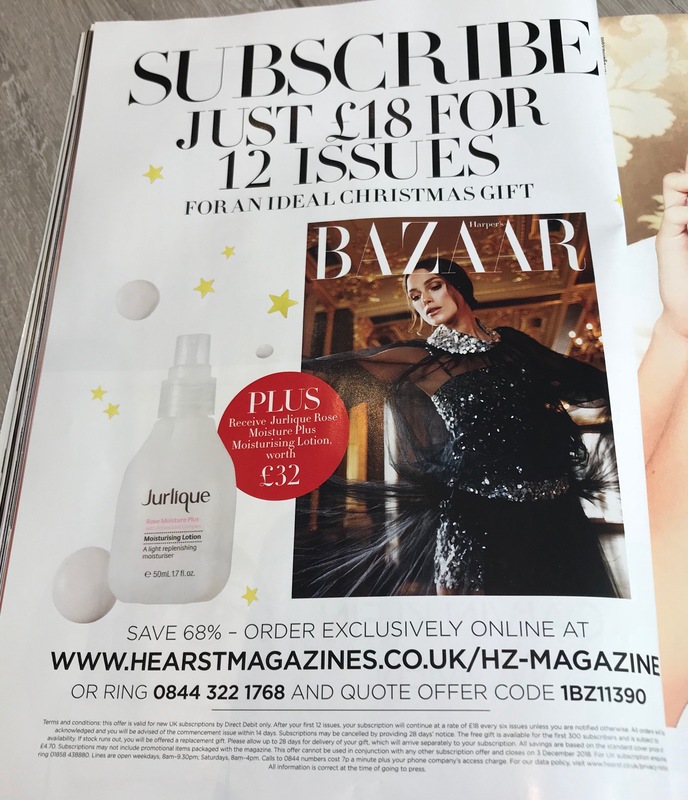 Another product I was delighted to see included this month. 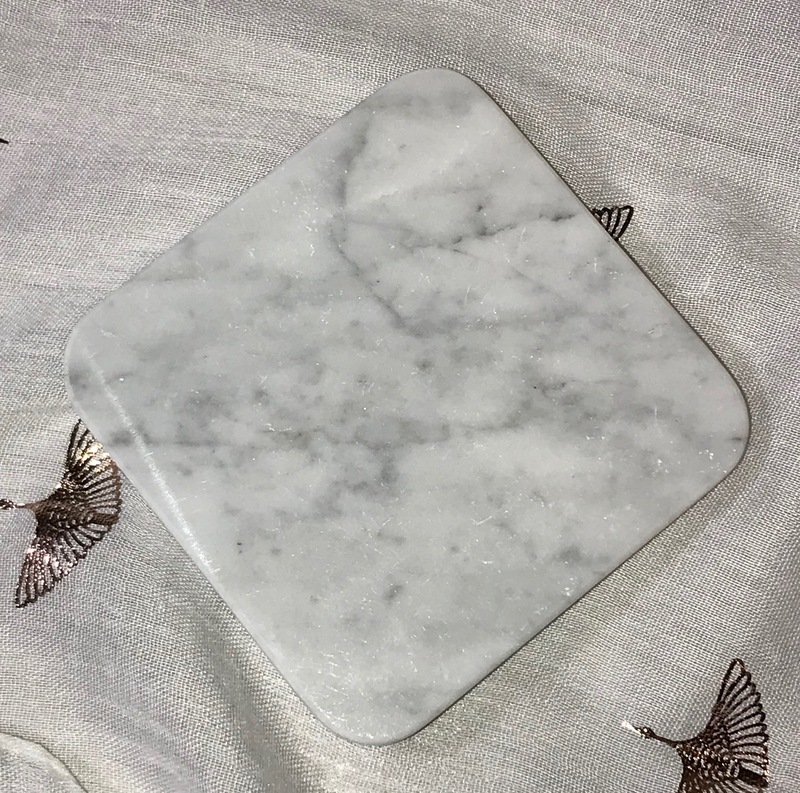 Blonde and Stone Marble Coaster Stand = (Set of 4 RRP £25) – definitely a quality small stand, love the design and also perfect to using when taking photos of small items as well. May not be as an exciting addition as other items but still happy to see included as will use. 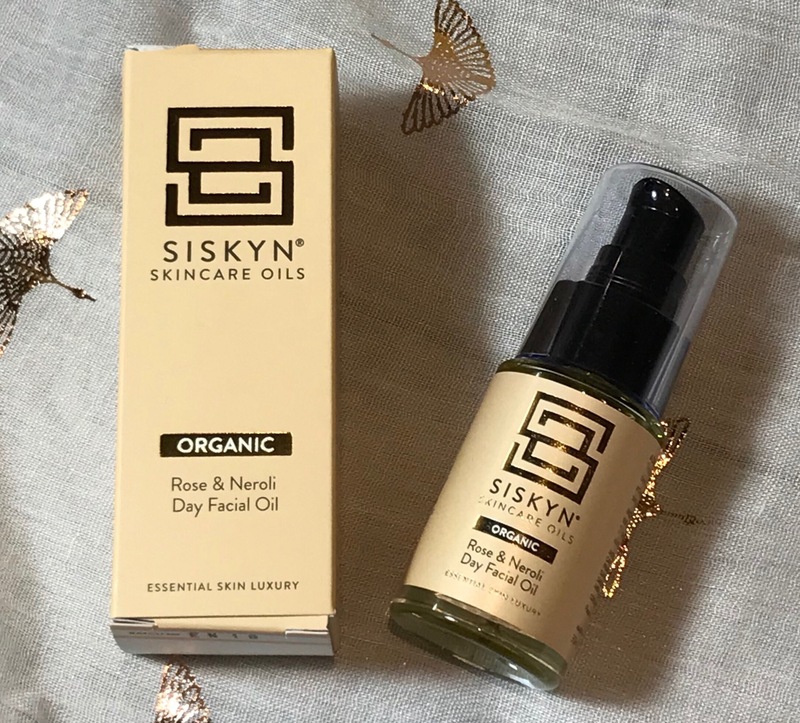 Siskyn Skincare Oils Organic Rose & Neroli Day Facial Oil (30ml) RRP £42 – States is suitable for all skin types but specifically more mature drier skin and gentle enough for the delicate eye area too. 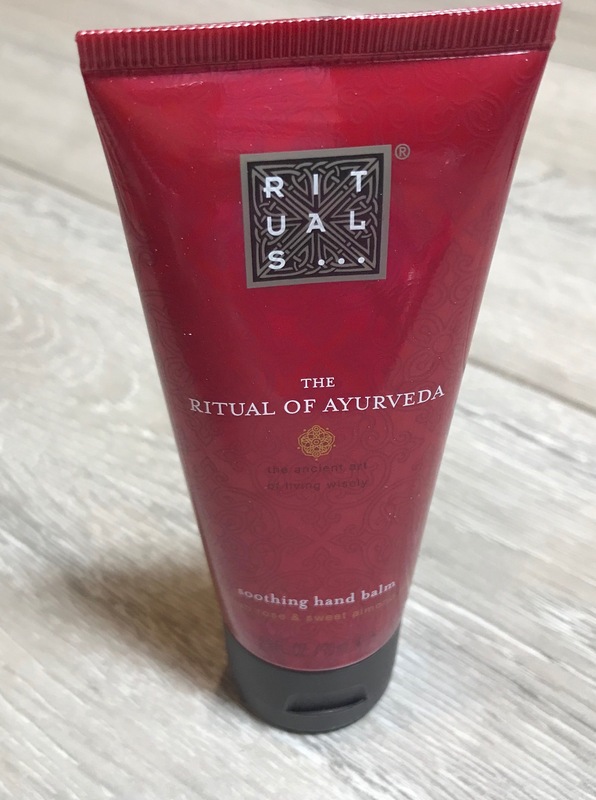 Even though has a rose fragrance, the aroma is not too strong thankfully, so think I will use but havent used yet as already trying a few different oils – however when I try properly, if I think results impressive will post a separate review. 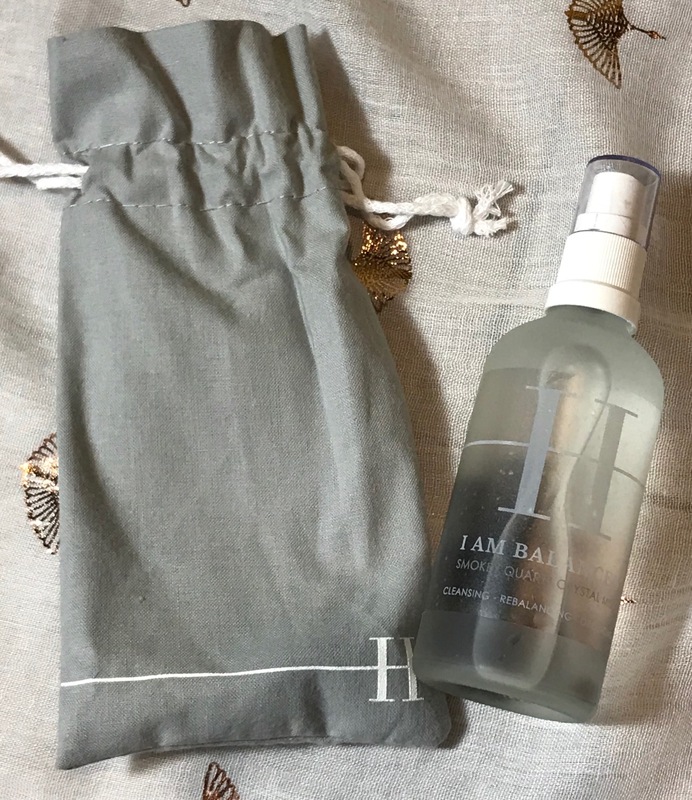 I am Balanced Smokey Quartz Crystal Mist (100ml) RRP £24.50 – This is another reason why I enjoy receiving the box as usually receive number of items you may not have heard of tried before and this is another one of them. 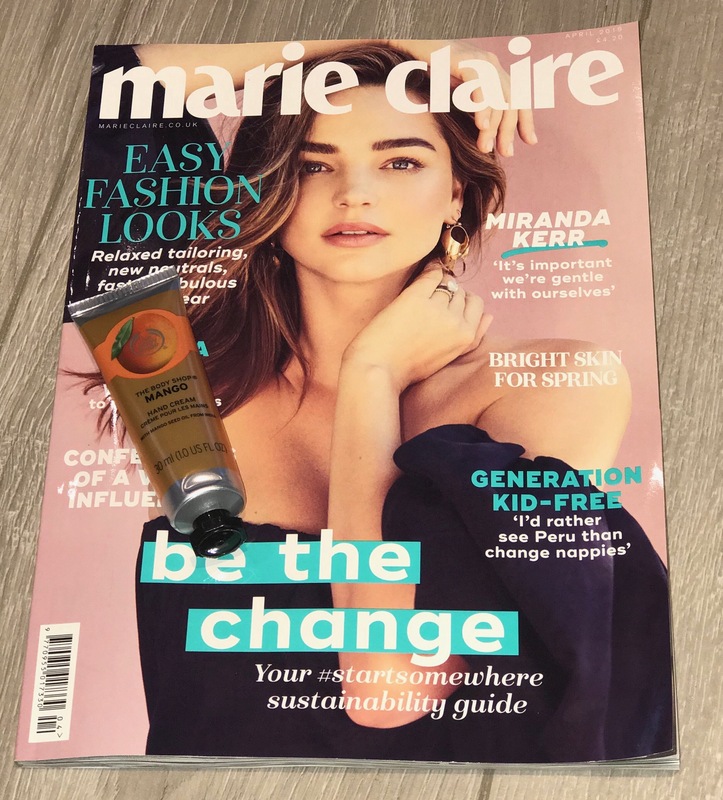 States: Uplifting orange blossom and balancing geranium combine with the healing powers of aloe vera to balance and restore skin’s natural oil balance. Charged with smokey quartz, the ultimate bad vibe cleansing stone, this crystal mist is the perfect energetic pick-me-up for when the clouds just won’t lift or your skin feels a little bleak. Sounds good doesn’t it? It has a light ‘spa’ type fragrance and a quite light mist. I have used as a pre cleanse, primer, to set makeup and throughout the day as a refreshing mist and it does seem to help as refreshing toning mist, just not sure how good it is yet as a primer or to set makeup as not tried for a long enough period yet but do enjoy using it throughout the day, only issue is it is quite heavy to carry with you in your bag. 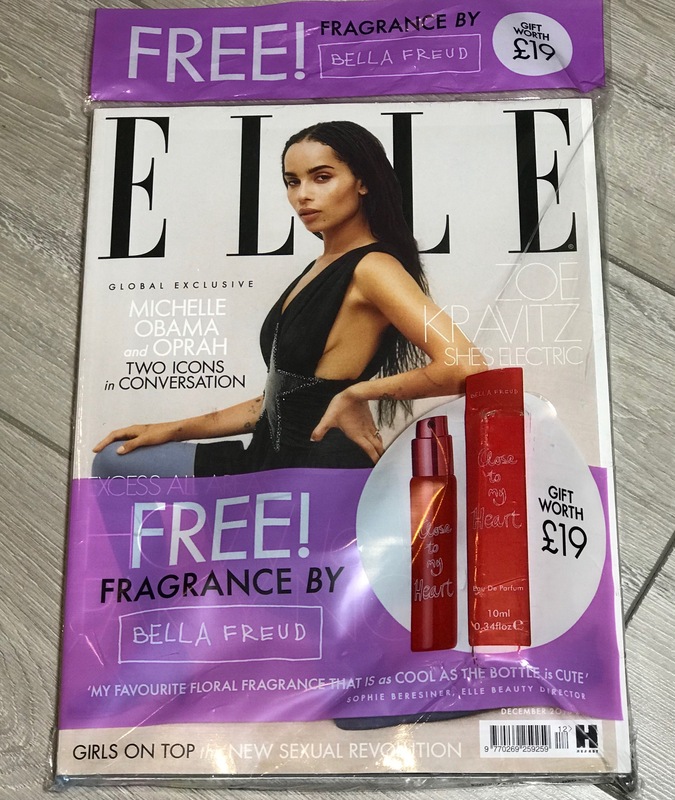 Although will keep using not sure I would purchase as not noticed any additional benefits yet, don’t think as good as my normal refreshing mists which are more reasonably prices and handier for your bag as well. 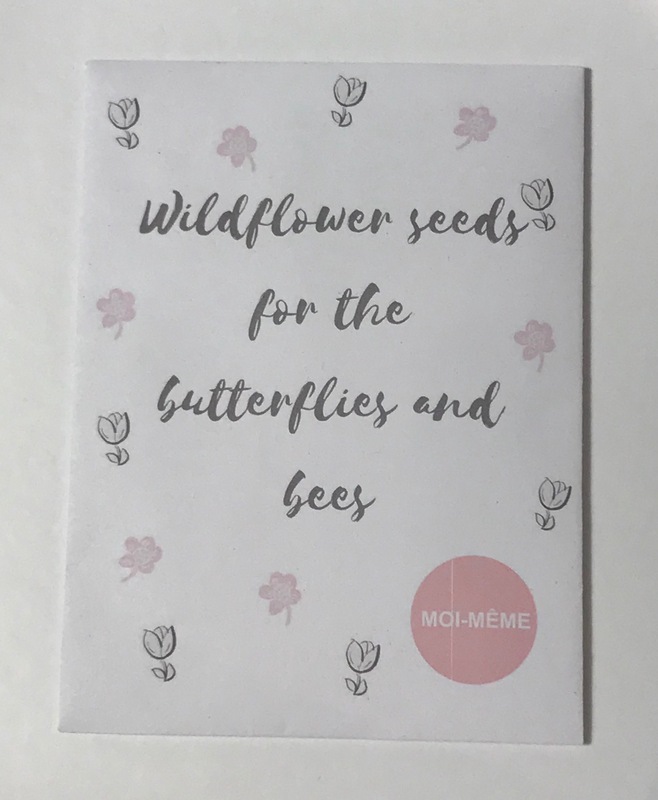 We also received a Packet of Wildflower Seeds as well which was a nice touch. 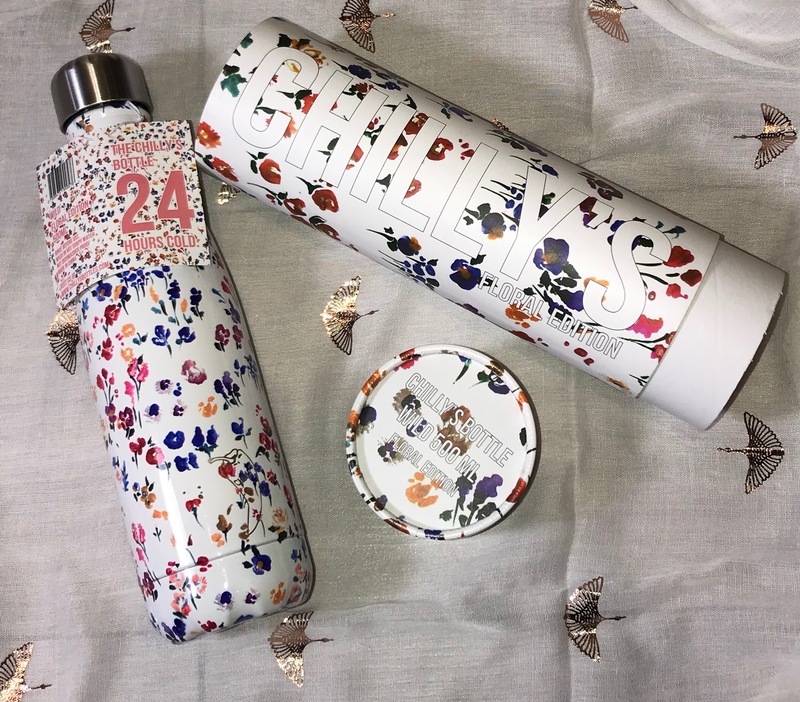 I was / am v happy with the Spring box – loved the variety of items included again last quarter, although my two favourite items were the Chilly’s bottle and scarf, will still use all the other items as well which is great. I will continue getting this box as just love the variety – it is the perfect treat every three months. I can’t wait now to see what is in the Summer box which should be despatched early July 2018. I still would recommend trying at least one of these boxes if you can as think you will love them as much as me, only problem is that you may want the following box / boxes as well. You can find out further details on the Moi-Même box via the link here. 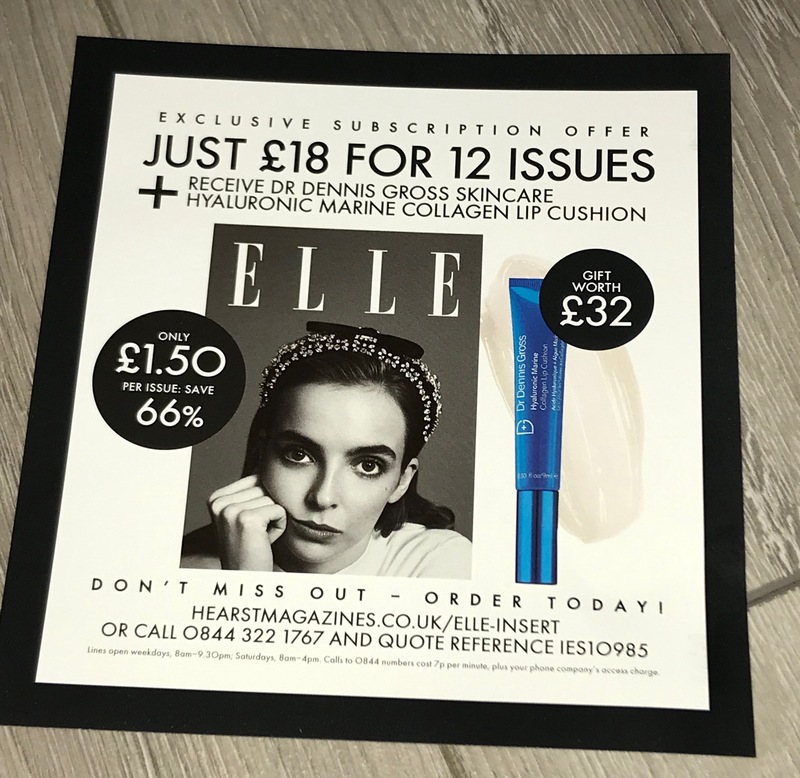 Also currently when you sign up to their newsletter you will get £5 off your first box and you will get the Summer Box at the current price until end of June 2018. 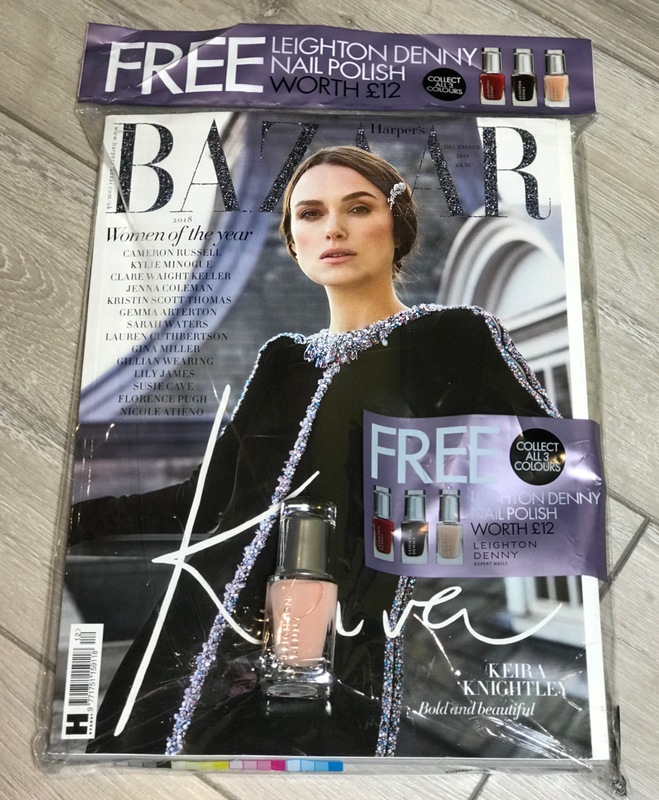 Few magazine freebies this month already. As always I will update post when or if there are any further magazine freebies throughout the month. 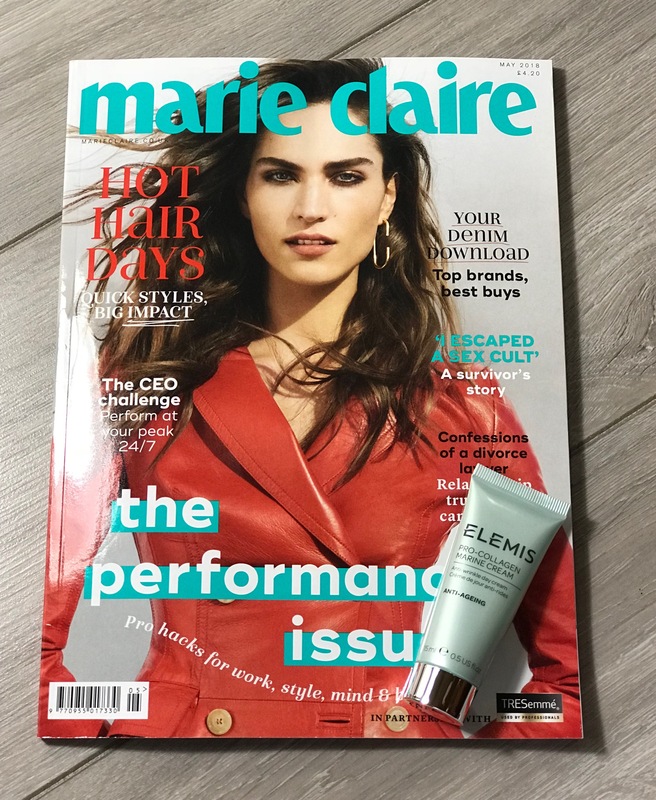 Marie Claire = £4.20 – FREE Neal’s Yard Remedies Geranium & Orange Hand Cream (50ml), worth £10 with the magazine this month. 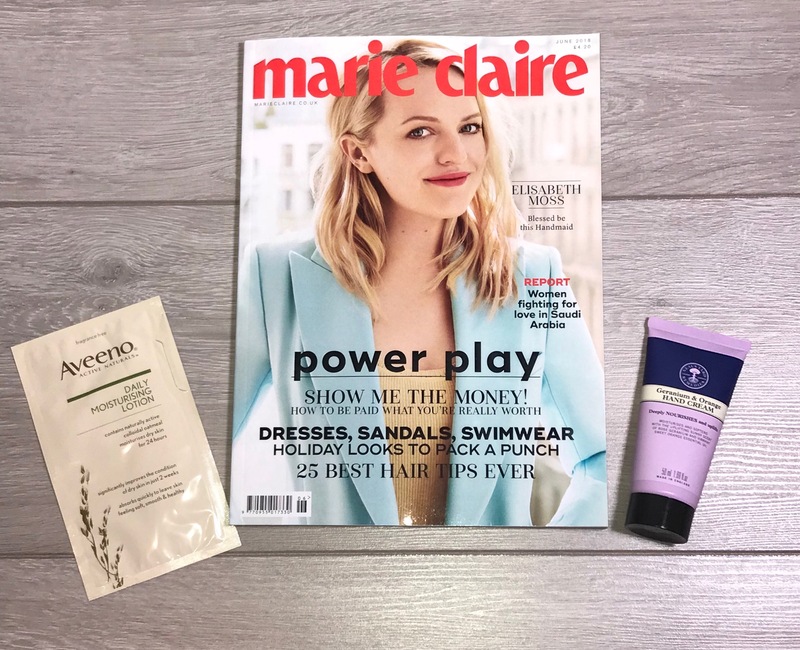 There also is an Aveeno Daily Moisturising Sample Sachet (10ml) and fragrance sample ‘slips’, inside magazine. 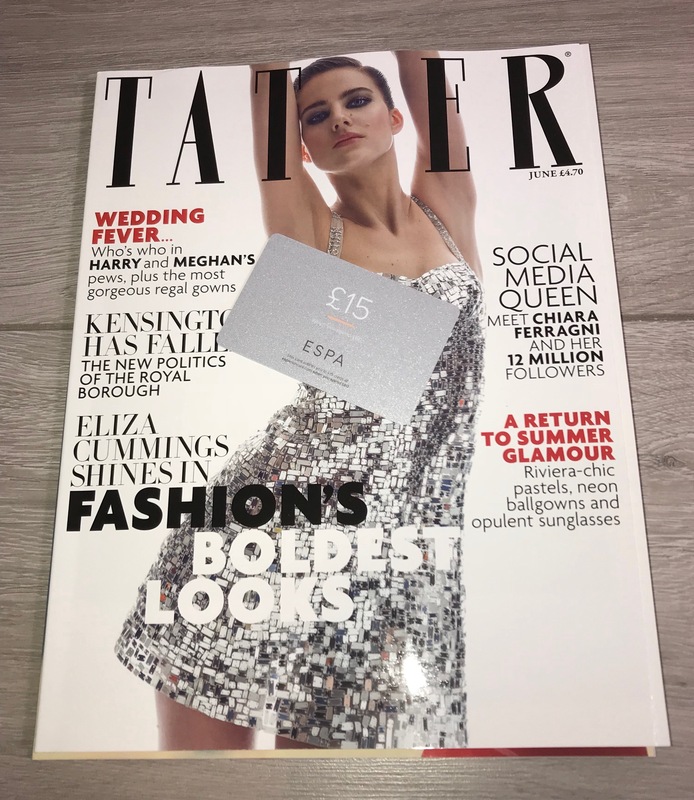 Tatler = £4.70 – £15 Espa Gift Voucher Card comes with this month’s magazine. 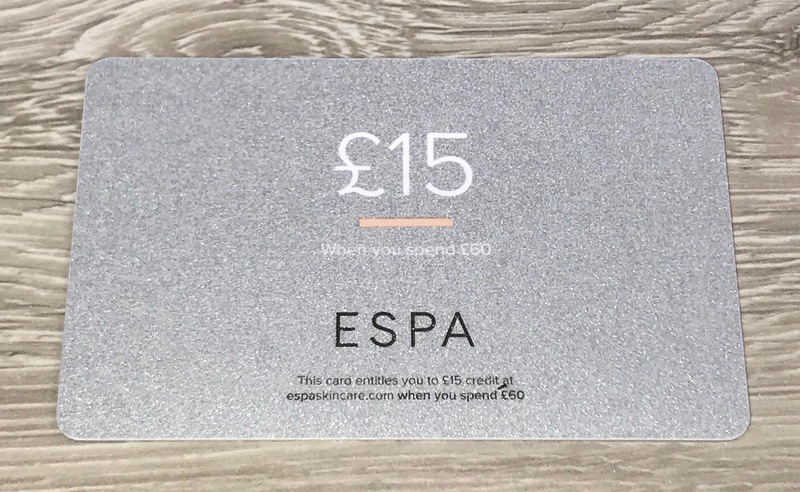 However you do need to spend at least £60 before you get the £15 off – but still a good offer if you intended to purchase something anyway. 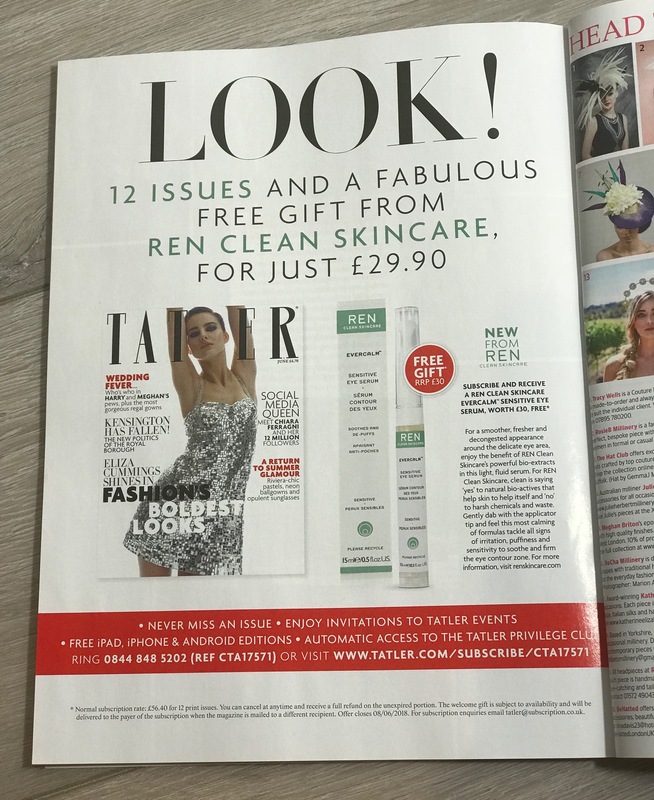 Also currently when you subscribe to Tatler you will receive a FREE Ren Clean Skincare Evercalm Sensitive Eyes Serum (15ml) worth £30 and 12 issues of Tatler for £29.90 – if this offer has finished by the time you read this, always usually an offer on so just keep checking online for more Free Gift with subscription offers. 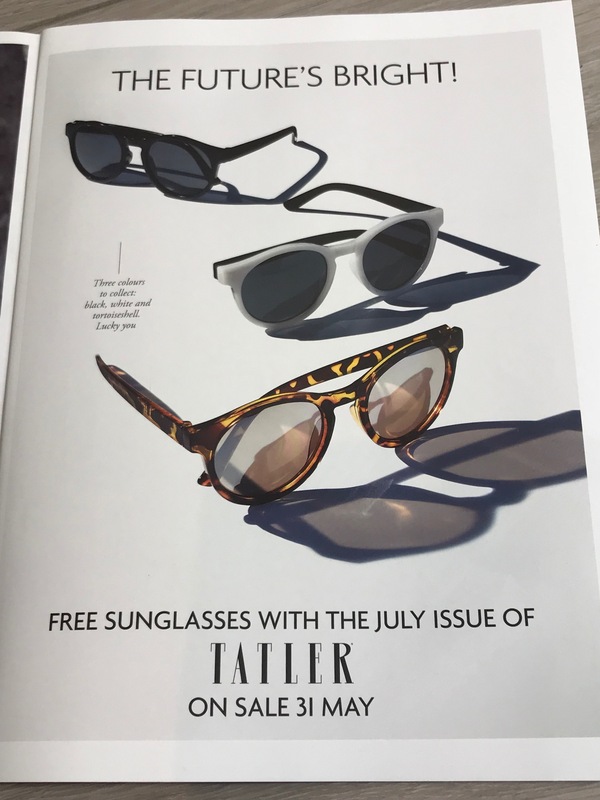 In addition there is a pair of sunglasses FREE with next month’s edition of Tatler, July edition (choice of three colours – preview below) – on sale 31 May 2018. 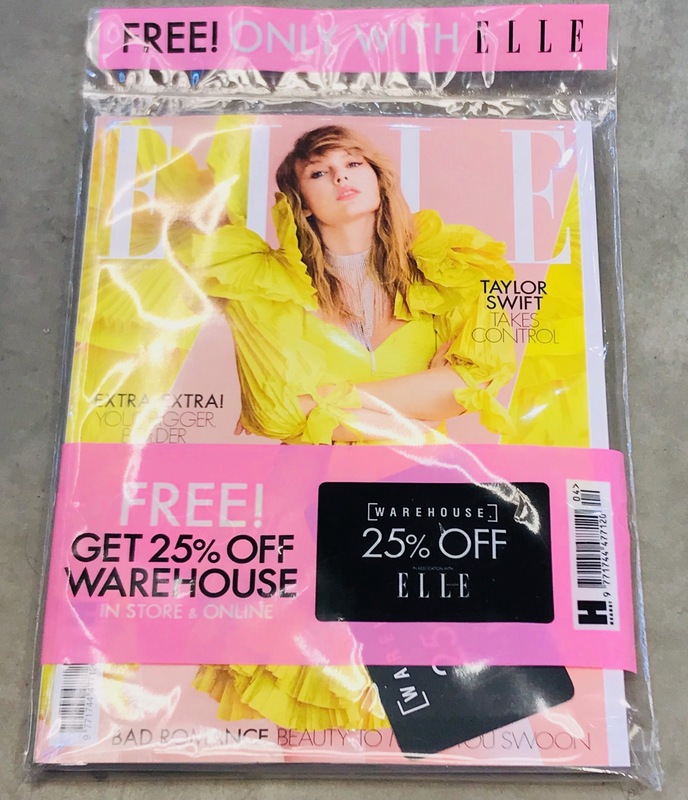 (Once again a little reminder for any new followers, that magazines always dated a month in advance i.e. 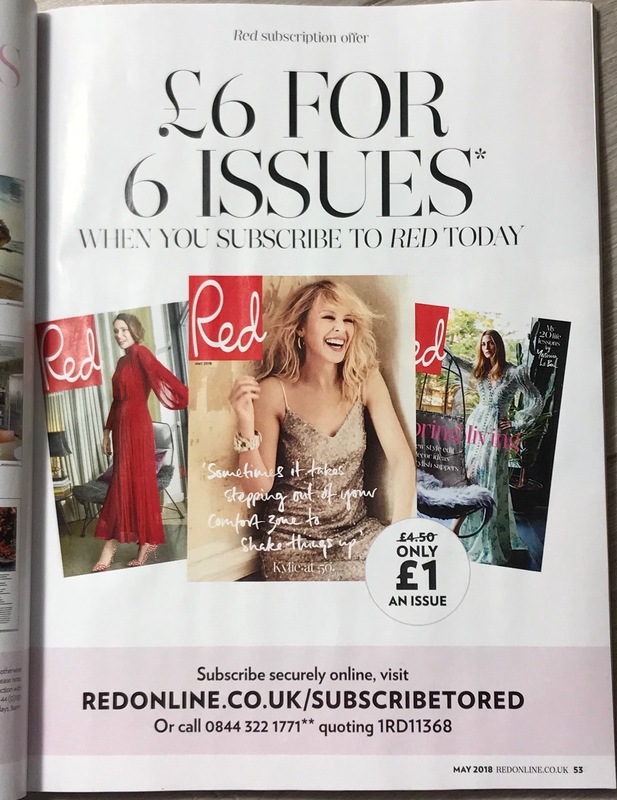 you get the June issue in May). 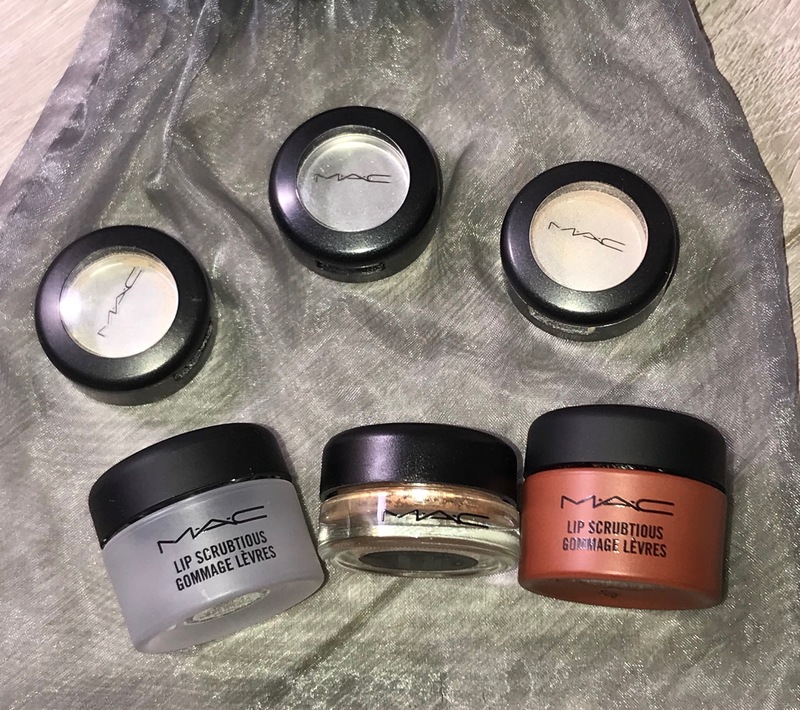 Just in case you are not aware, wanted to let you know about the M∙A∙C Cosmetics Recycling / Reward ‘Back to M∙A∙C Program’, another ‘beauty’ recycle/reward scheme that I think is great. 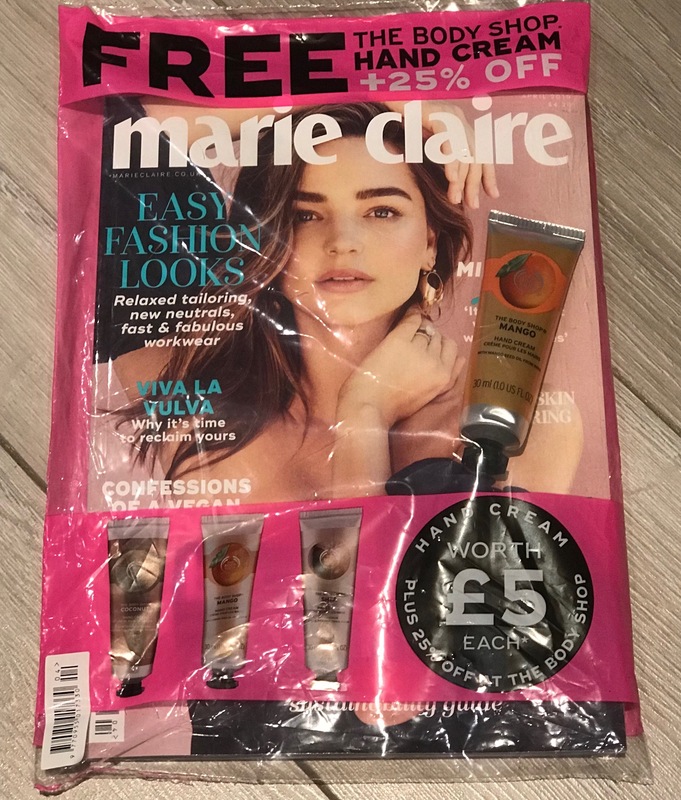 So easy to be rewarded for recycling as all you need to do is return six empty M∙A∙C ‘full size’ primary containers to a M∙A∙C counter or M∙A∙C Cosmetics online and then you will receive a FREE M∙A∙C lipstick of your choice as a thank you. You can find out more details about the recycle / reward scheme here or by asking in store. 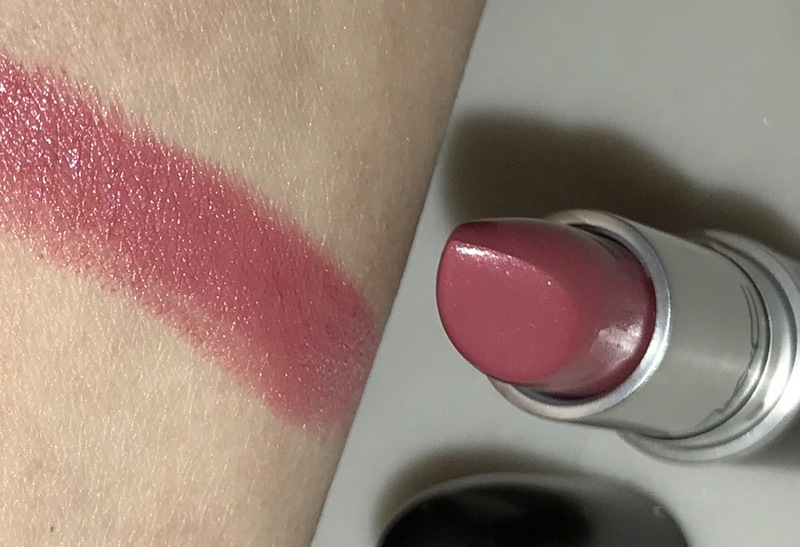 As 100% of the selling price of VIVA GLAM Lipsticks and Lipglass is provided to organizations that help people living with HIV/AIDS, these are excluded from their ‘recycle / rewards’ program. 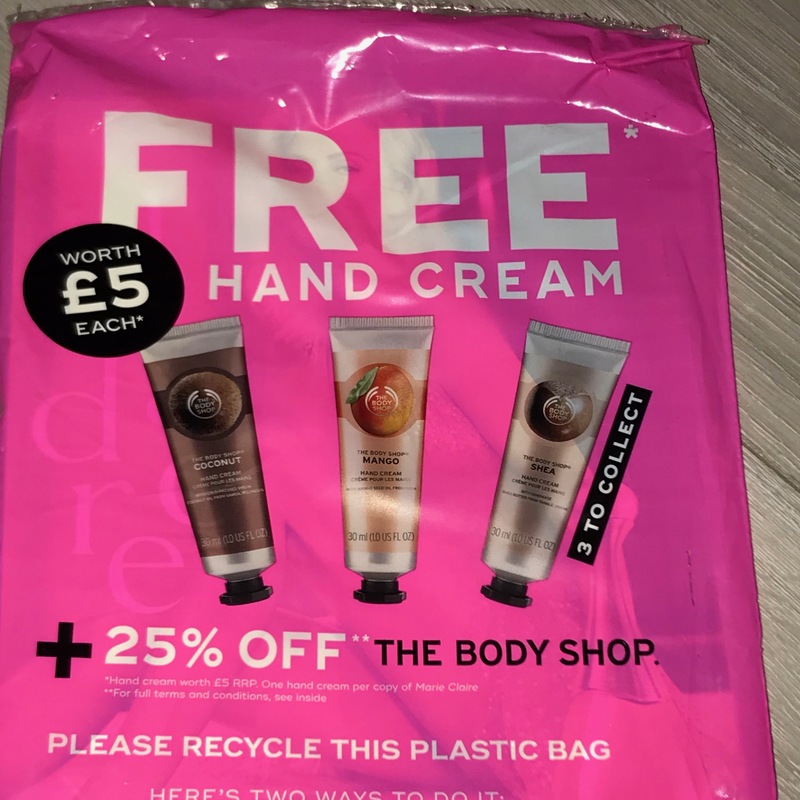 I understand it may take a while to have six ’empties’ to return but it is still a great way to be rewarded for recycling especially if you purchase a lot of M∙A∙C products already. 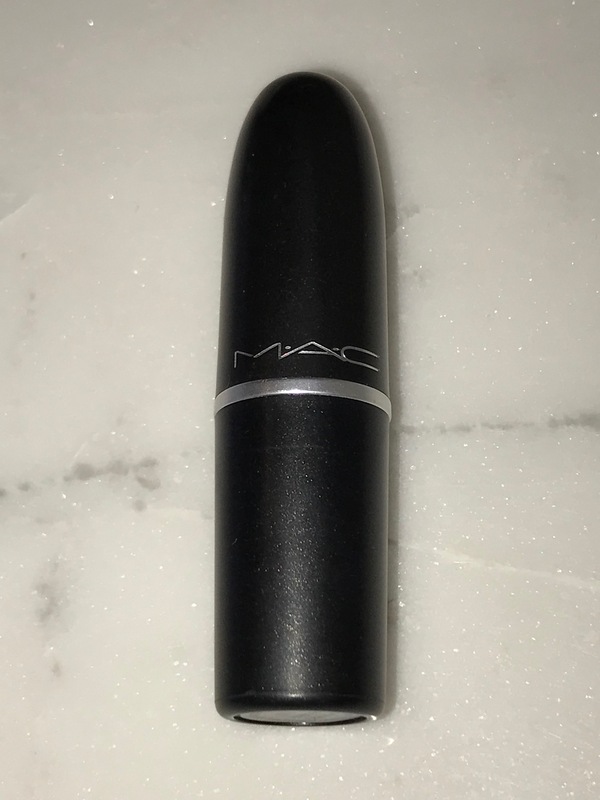 As I use my ‘hero’ M∙A∙C eyeshadow in ‘Shroom’ as a base on top of my eye primer most days this helps, meant I recently had a another six empty containers to return / recycle in exchange for a FREE lipstick. 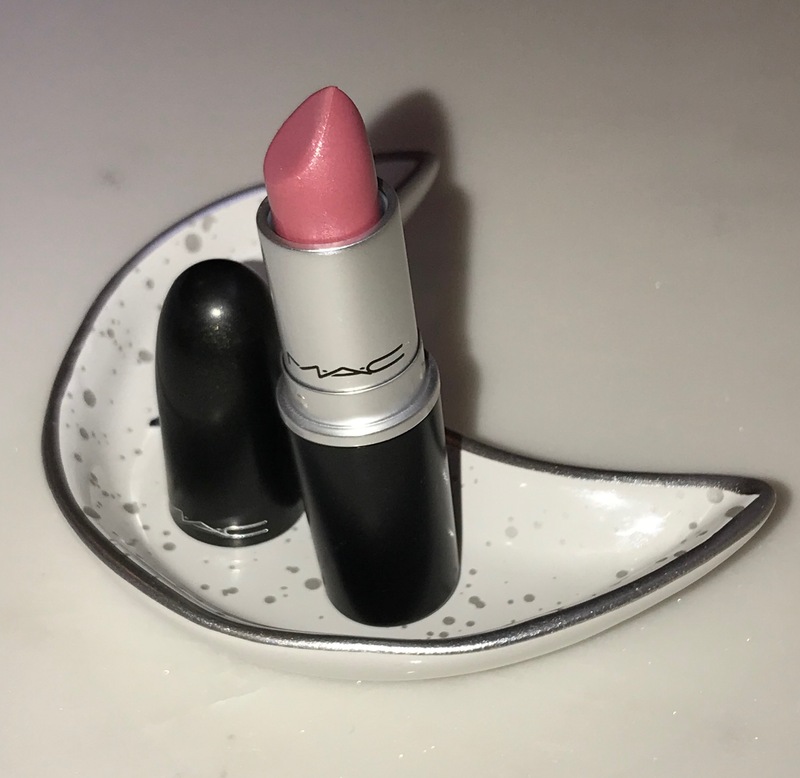 It was perfect timing as my favourite M∙A∙C Cremesheen lipstick in ‘Hot Gossip‘ (RRP £17.50) was almost finished so I chose to get it as my FREE Lipstick. 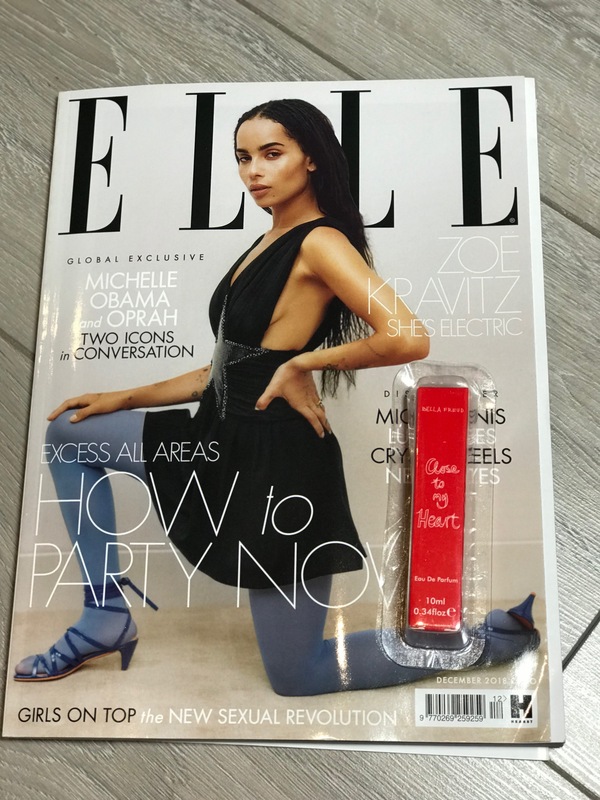 I love this lipstick as it is the perfect ‘pink’ shade not too light or dark and as it is in the cremesheen formula so easy to apply and feels so good on the lips, need to reapply a number of times throughout the day but I do not mind this as love it so much. 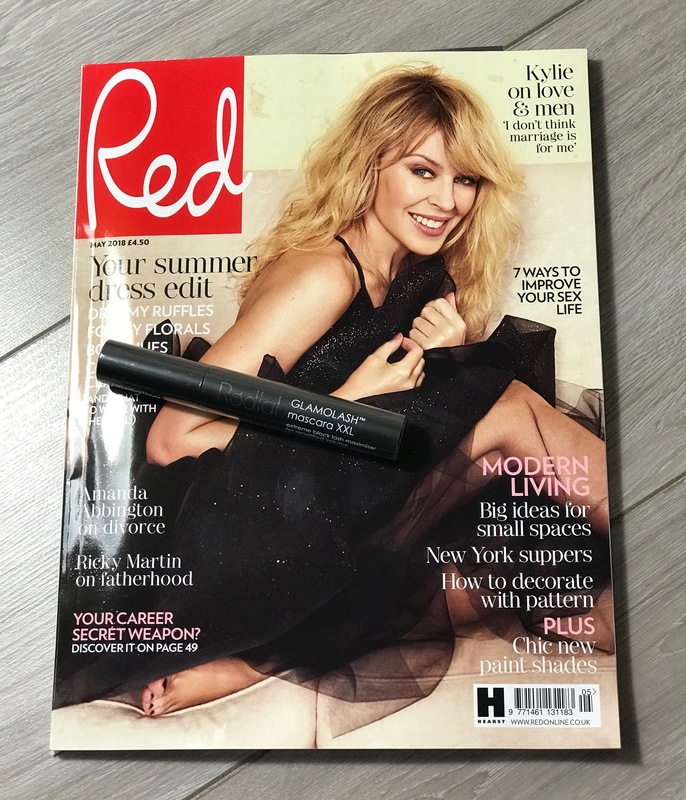 I also have found that the M∙A∙C PatentPolish Lip Pencil in ‘Kittenish‘ (RRP £18) is the perfect partner as almost the same shade and just gives that extra sheen to the lips, it is beautiful on its own as well, so creamy and comfortable. Love to know if you have managed to get any products through this recycle / reward scheme yet. If you are not already a follower would love you to follow my blog too – would mean a lot. Hope you are all having a lovely weekend so far. 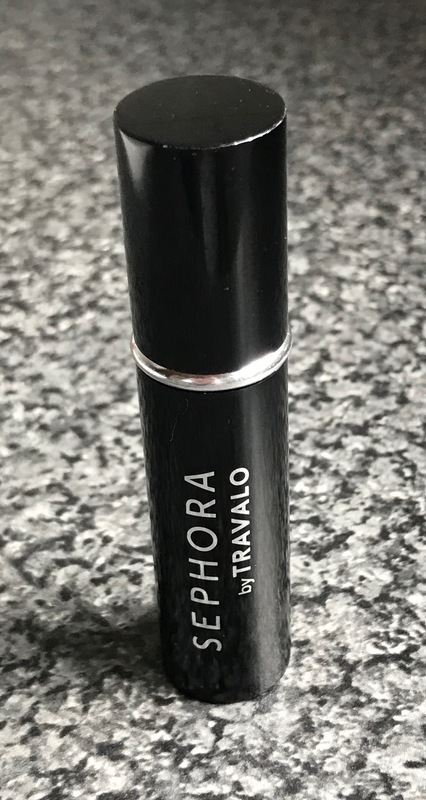 I wanted to let you know about another ‘accessory’ type of item I find so useful and am never without, the Travalo Travel Fragrance Spray Atomiser (5ml). 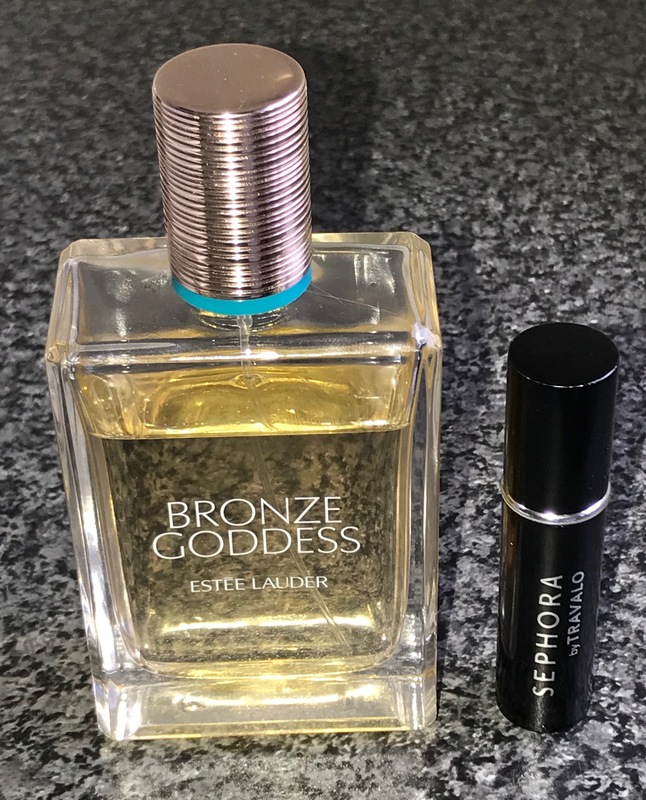 Although I think my favourite perfume bottles are gorgeous, especially my two current favourite (have been for a while) fragrances, the Estee Lauder Bronze Goddess and Antonia Flowers Tiempe Passate, they both are glass bottles, quite ‘bulky’ (unfortunately neither come in travel sizes here). 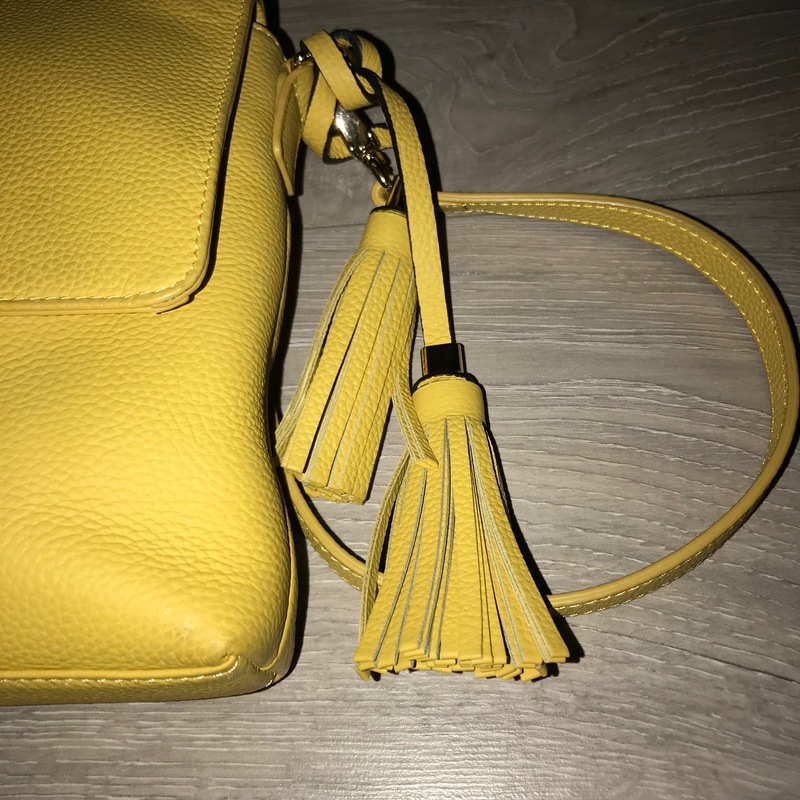 Therefore this means I prefer not to carry them in my bag on a daily basis for a number of reasons; worried they might break, they are quite heavy, take up room and really not suitable for smaller bags, so was delighted when I discovered the travalo travel spray atomisers, the perfect solution. The Travalo atomiser is available in different designs, sets, and prices start from approximately £10-12.49 but you can get the ‘plainer’ designs for less than this if you shop around – currently The Perfume Shop have a number reduced, though few of these are now out of stock online but if you live close by theperfumeshop recommend calling in to see if they have any of the ‘reduced’ versions left in stock. 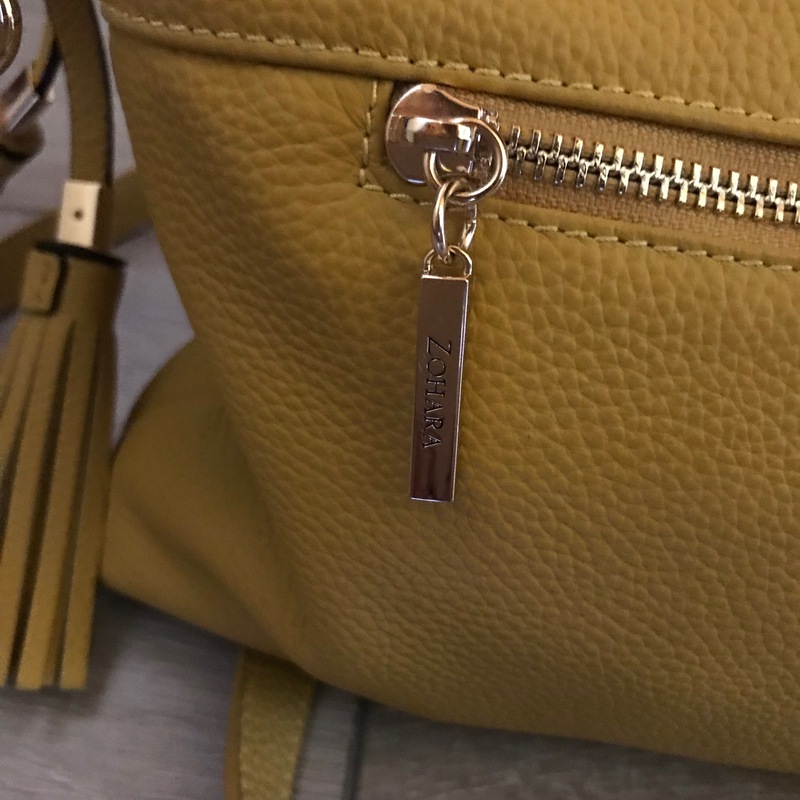 The Travalo Spray Atomiser is so easy to use, can be refilled in seconds from a standard fragrance bottle and is perfect for nights out, travelling as well – so compact. Then you are ready to go, spray and enjoy. You can find out more details about the Travalo brand, range available via the link here. I definitely recommend checking out the Travalo range if you haven’t already as I find their atomisers so useful and perfect for taking with you; to work, nights out, weddings, travelling, really any time you are out of the house or even in the house. If you like to use a number of different fragrances you can just get different colours / designs to decant your different fragrances into. 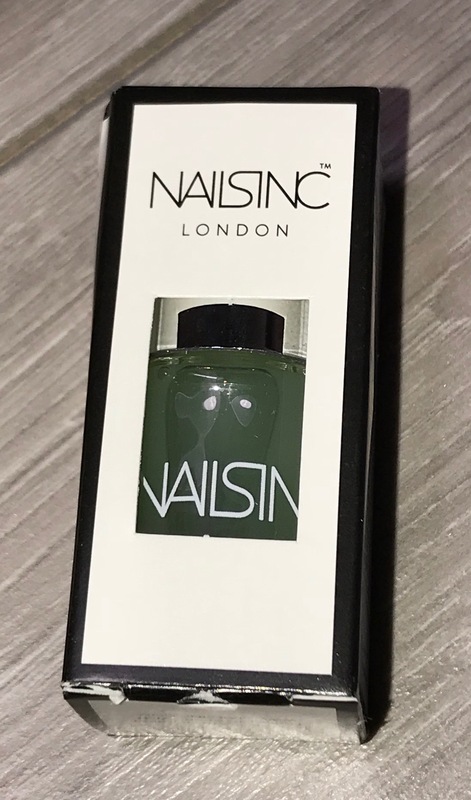 I have already ordered another two atomisers as I give two of mine away to friends (with the Bronze Goddess fragrance in it as they loved it so much – more about this beautiful range in another post v soon). 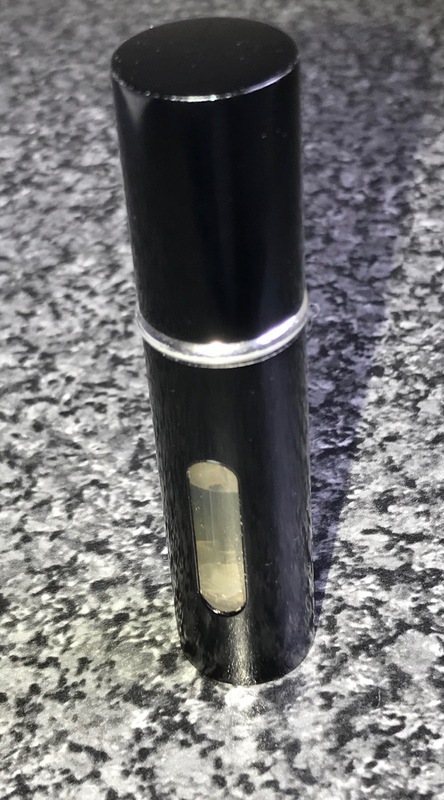 The atomiser version in the photos above I purchased in Sephora last year, note colour will wear off in parts with prolonged use/storing near other items in your bag. Welcome any comments – also love to know if you use the Travalo Atomisers already, do you find them as useful as me? Thank you for reading – will have more posts up tomorrow and / or beginning of the week. Enjoy the rest of the weekend and take care.